Of all the bountiful fare that graces the festive board at Xmas time, surely this pudding of all puddings receives the most enthusiastic welcome. Here comes the plum pudding !! Watch the eager anticipation of every member of the family – and is it not more than justified – could there possibly be anything more richly flavoured than the delectable richness of the cunningly mixed fruits and spices. November the twenty-sixth really sees the start of the preparation for Christmas in the New Forest. For that is the traditional date on which the Gypsies are allowed to start picking holly to sell at local markets and to make wreaths. Already they have filled their sacks with moss gathered from the boggy paths on the side of the hill above Abbots Well. This moss is used in foundations of wreaths…..On Christmas Eve the kitchen is very busy place. Although the cake and puddings have been made for several weeks there are still the mince pies to make, the chestnut stuffing to mix, vegetables to prepare, the trifle to make and the cake to decorate. The countdown to Christmas has begun. For some, that statement will induce feelings of anxiety, for others, pure excitement and joy. For me, it is a mixture of both. However, now is the time to start getting organised in the kitchen, preparing menus, stockpiling your store cupboard, making your Christmas pudding, cake and mincemeat. It is also a good time to keep an eye out for bargains at your local supermarket, come 1st December, prices start to rise. A Victorian family being served a huge flaming plum pudding at the end of their Christmas dinner. 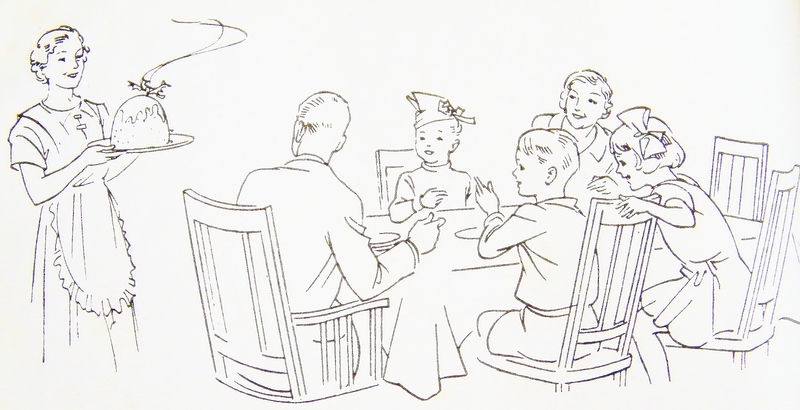 Illustration from “Eight Happy Holidays” published by E.P. Dutton & Company, New York, 1882. In Britain this year, ‘Stir-up Sunday’ took place on the 23rd November and in 2015 it will be 22nd November. Panic not if you forgot to prepare your cake and pudding on the 23rd because you have still about a week to get organised. Don’t leave making these Christmas staples until the last minute, dried fruit needs time to absorb the alcohol which is what gives both cake and pudding that lovely rich taste and moist texture. Your Christmas cake will need to be topped-up with alcohol (known as ‘feeding your cake’) on a weekly basis until the big day. I was recently approached by Spun Gold tv who make the popular weekly cookery show, Weekend Kitchen With Waitrose, for Channel 4 (Saturdays, 9am). Spun Gold asked me to help them with research for a forthcoming segment they were running on ‘Stir-up Sunday’. 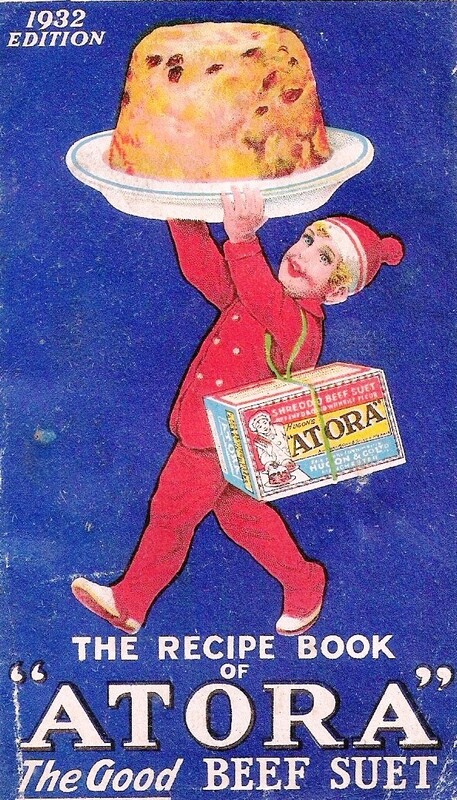 It was very good timing, I had been researching forgotten Christmas foods and customs for quite a few months. In addition, I also lent the production team a selection of vintage cookery cookbooks from my collection. The full episode (Series 2, Show 10, 22.11.14), can be viewed here and more details about the items featured in the segment, including replica silver pudding charms, can be found here. The episode is also be repeated on the UK Good Food Channel, Saturday 29th November, 11am and 4pm, more information here. I am delighted with the finished segment, the production and presenting team (Lisa Snowdon, Steve Jones and Angellica Bell) did a fabulous job. Frumenty (see below) certainly divided the presenters! A special mention must also go to Weekend Kitchen’s excellent Assistant Producer Claire Paine who coordinated the research with myself. Claire has just started-up the excellent food blog, ‘Claire-en-Croute’ (http://claire-en-croute.com/), do have a look, it is very good. I have reprinted below a selection of the best Christmas pudding, cake and mince pie recipes taken from my collection of vintage cookbooks. 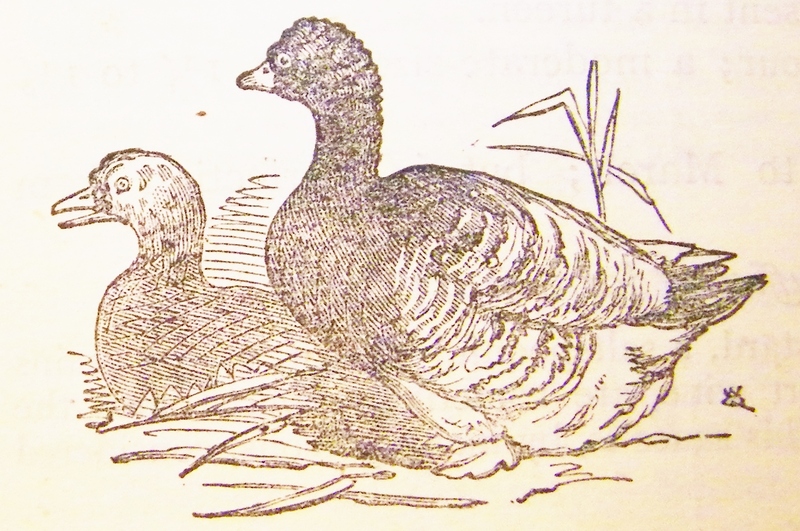 You will find recipes from the Victorian era right through to the 1960s. Hope you find a recipe that catches your eye. 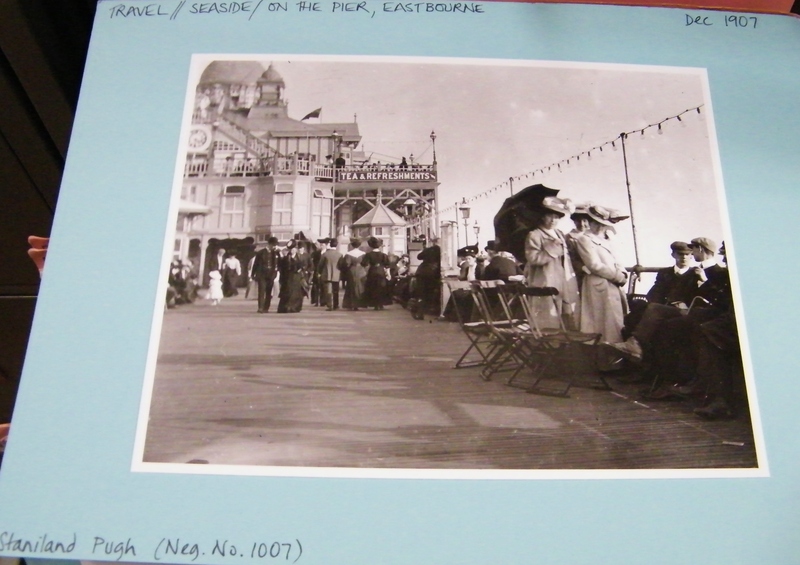 Don’t forget to send me images of your retro recreations or Tweet me @emmahistorian. Vintage engraving from 1868 after the painting by Thomas Webster (1800-1886) a Victorian family sit down for their Christmas Dinner. Stir-up, we beseech thee. O Lord, the wills of thy faithful people; that they, plenteously bringing forth the fruit of good works, may of thee be plenteously rewarded. Traditionally, stir-up Sunday is a communal event when family come together to help stir both pudding and cake mixture. Prince Albert (1819-1861) is thought to have encouraged the family element of stir-up Sunday, during the Victorian era. There should be thirteen ingredients in a Christmas pudding, the number represents Christ and his twelve disciples. The mixture should be stirred from east to west in honour of The Three Wise Men. The sprig of holly placed on the top of the pudding represents the crown of thorns on Christ’s head. The solid Christmas pudding, that we recognise today, would have once been a liquid porridge made from wheat flour. In Medieval England, frumenty was a classic grain pottage, made with almond milk, boiled beef, mutton, raisins, currants, prunes, spices and wine. Other variations on this recipe include: chopped poultry, pheasant, partridge and rabbit, sugar apples, raisins candied oranges and lemons. The fourteenth century, cookbook Forme of Cury , written c.1390 by chief master cooks of King Richard II, (1367-1400), contains a recipe for frumenty with porpoise (‘furmente with porpays’). It wasn’t until the sixteenth century that this liquid dish evolved into a pudding thickened with eggs, breadcrumbs, dried fruit and flavoured with ale and spirits. In 1664, Puritans banned this type of pudding, along with mince pies, considering it to be a lewd custom, packed full of far too rich ingredients that could over stimulate the senses. 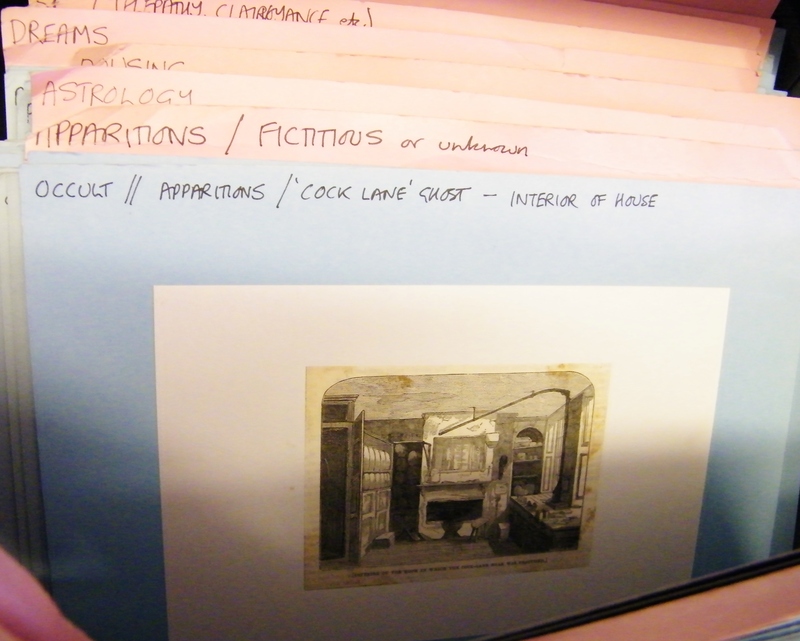 It also contained alcohol, which of course for the puritans was a big ‘no no’. 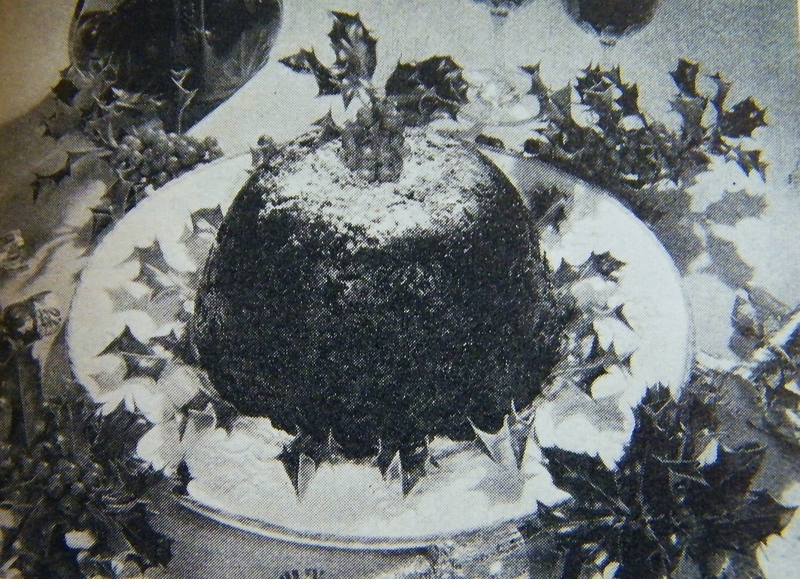 In 1714, King George I (1660-1727) re-introduced the pudding as part of the Christmas festive meal. As the eighteenth century progressed, meat was gradually replaced by all sweet ingredients. Christmas pudding is sometimes referred to as ‘plum pudding’. However, before the Victorian era, plum was actually the culinary term for raisins. 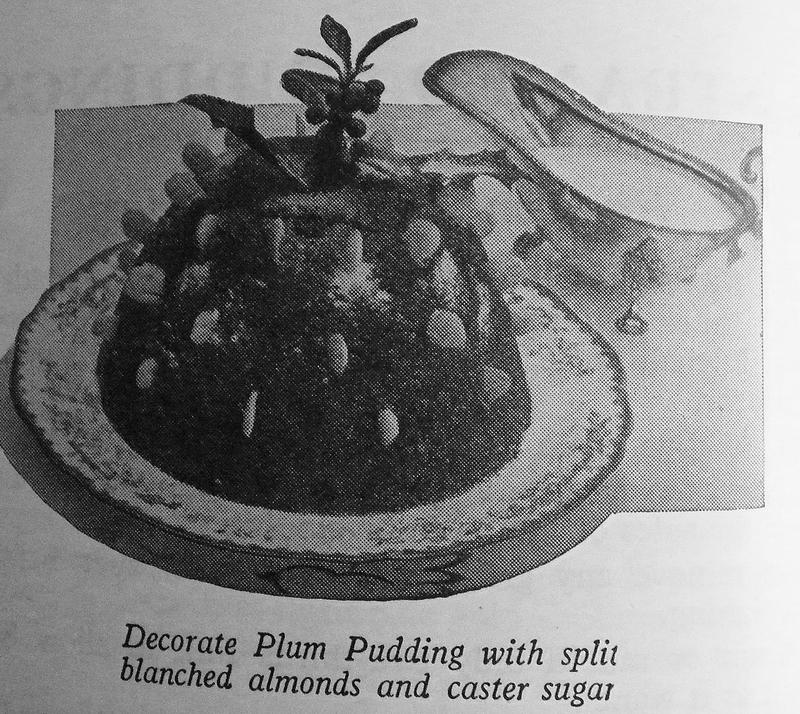 Until the beginning of the nineteenth century, plum pudding was also called ‘plum porridge’ and was the first course at Christmas dinner. Similar to frumenty, plum porridge was made with boiled beef or mutton and when the meat was half-cooked, the broth was thickened with brown bread. Then currants, raisins, ginger, mace, prunes and cloves were added and the mixture then returned to the boil. This porridge was sent to the table with the meat and eaten with it. Before the nineteenth century, wealthy families also ate a boar’s head which was in fact the first dish brought in for Christmas dinner. This stunning centrepiece was adorned with garlands, a lemon stuffed in its mouth and had its tusks left on. The boar’s entrance was pure theatre. Historian Ruth Goodman shows how to make an authentic Victorian Christmas pudding. Uploaded to You Tube 26.11.2011. ..put a linen cloth or handkerchiefs over the mouth of the dish [wooden bowl] and reverse the mouth downwards, so that you may tie the napkin close with two knots; by the corners cross or with a strong thread, upon the bottom of the dish then turned upwards all which is, that the matter may not get out, and yet the boiling water get through the line upon it on one side enough to bake the pudding sufficiently. The faster it boils, the better it will be. The dish will turn and rowl up and down in the water, as it gallopeth in boiling. An hour’s boiling is sufficient. In Scotland, a variation on the Christmas pudding is the ‘clootie dumpling’. A wet mixture consisting of flour, breadcrumbs, dried fruit, sugar, suet, spice and milk is then wrapped in a floured cloth and boiled in a large saucepan. 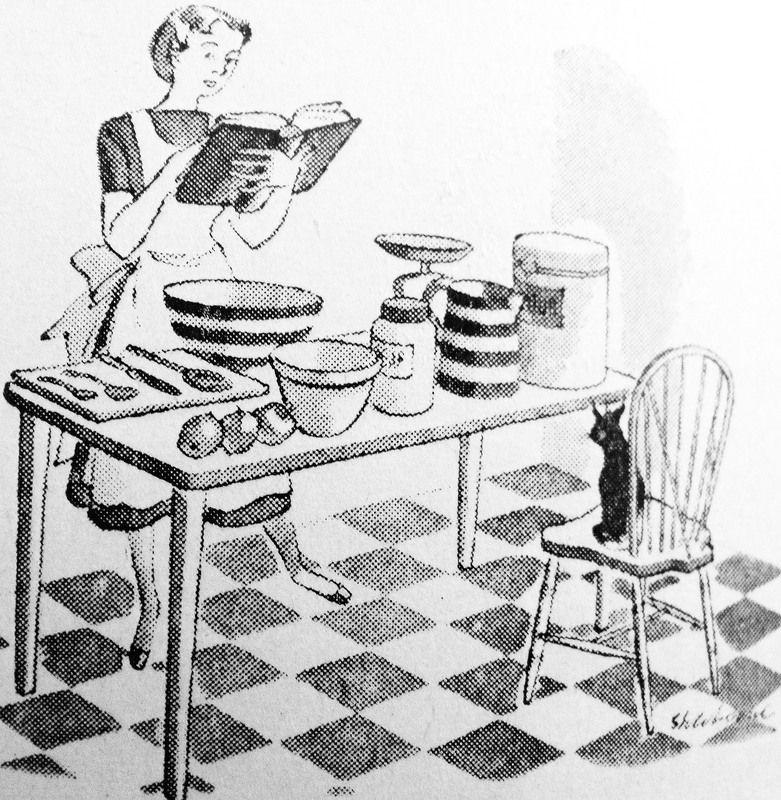 I must not forget to tell you, Eloise, that any of the above sort of puddings, no matter what made of, if sweet or savoury, is preferable made in a basin to being put in a cloth, which is often very dirty in appearance; while, if boiled in a basin, the paste receives all the nutriment of the meat, which, if boiled in a cloth, would evaporate in the water, if by neglect it ceases boiling. If you wish to turn it well out, thoroughly grease the inside of your basin when making. On pudding cloths: A pudding cloth, however coarse, ought never to be washed with soap; it should be dried as quickly as possible, and kept dry and free from dust, and in a drawer or cupboard free from smell. In the 1850s, particularly in Germany, tiny silver pudding charms were added to the mixture before cooking. There were usually six charms: boot (travel); wishbone (granting of a wish); thimble (bad luck, predicting spinsterhood); horseshoe (good luck); bell and bachelor’s button (lucky for a man). Depending on which charm you found in your pudding portion this would indicate whether you would be ‘lucky’ or ‘unlucky’ the following year. It is sometimes possible to pick-up Victorian pudding charms in antique markets or on e-bay etc and reproductions are widely available on the internet. All these items come with the usual modern-day health and safety precautions. Old-fashioned replica Christmas pudding charms can be brought from Vivi Celebrations or The Charmworks. Ingredients: ½ lb of flour, suet, sultanas, raisins, currants, mixed peel, carrot (raw and grated), brown sugar, peeled raw potato (grated). 1 teaspoonful each of: mixed spice, grated nutmeg and cinnamon, grated rind of lemon. ¼ lb of shelled, coarsely chopped, almonds. 1 large wineglass of rum or brandy or sherry. Method: Mix all ingredients together, put into basins. Steam eight hours, and use as required. Perfect Cooking: A Comprehensive Guide to Success in the Kitchen by the Parkinson Stove Co. Ltd (1949) An old family recipe about 1713. Crusader’s Pie! The mince pie dates from the days of the Crusaders. It used to be called the ‘Christ’s Cradle’ and was oblong in shape instead of round. The Crusaders said the spices put into it represented the gifts of the Wise Men to the Holy Child, and the crust represented the cradle. Method: When the paste (pastry) has had the necessary number of turns, roll it out to about 1/4 of an inch in thickness, and line some large-sized patty-pans with it. Fill with mincemeat, cover with paste (pastry), brush over lightly with cold water, and dredge with castor sugar. Bake in a moderately hot oven from 25 to 30 minutes, and serve either hot or cold. Mrs Beeton’s Book of Household Management, 1915 Edition. Method: Make 8 oz flaky pastry, and roll it out to ½ inch in thickness. Cut the required number of rounds to make lids for the patty tins to be used. Fold up the trimmings, roll 1/8 inch thick and cut out rounds to line the tins, making the rounds a size larger than the tins to allow for the depth. Line the tins, fill with mincemeat, damp the edges and put on the pastry lids. Decorate the edges with tiny flutes, make a hole with a skewer in the top of each and glaze with egg white and sugar. Bake in a hot oven (450F, mark 8) for 20-30 minutes. Before the end of November make the Christmas cake and puddings. During the first week in December make mincemeat. During the second week in December ice and decorate the Christmas cake. Make some plain good keeping cakes such as Madeira, Parkins or gingerbread, a few dishes with no fruit in are acceptable at Christmas time. December 22nd and 23rd, make flaky pastry and set aside in a cool place. Make such things as biscuits, sponge cakes, jam rolls and flans, cheese straws buns. December 24th make mince pies and sausage rolls and other pastries. Make cold supper dishes both sweet and savoury. Boil tongue or ham, make hard sauce for pudding, stew giblets, prepare bread sauce and stuffing. Singe, stuff, and truss the bird and put it in the roasting tin, prick sausages and cook these to be served cold on Boxing Day. December 25th, put pudding on to boil early. Heat oven and put bird in. Head bread sauce and put under a cosy till wanted. Prepare vegetables, parboil potatoes and put under a cosy or round the bird, cook greens, skim giblet stock, remove the bird ¼ hour before serving and pour off dripping, then boil up the giblet stock in the pan for gravy it will not need any thickening, but strain it into a tureen or jug and keep hot till wanted. 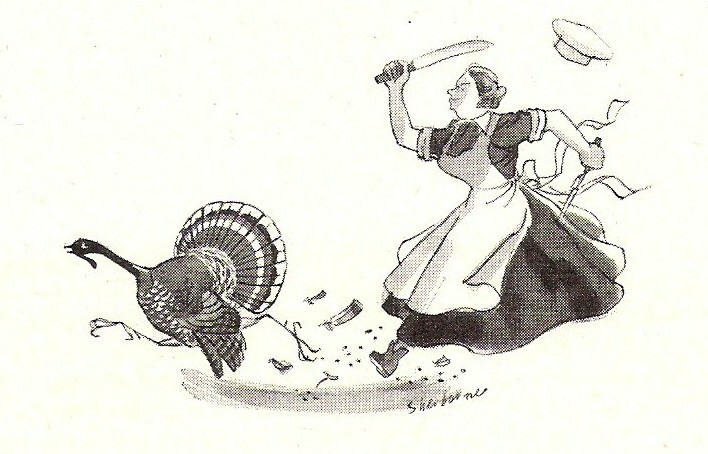 Dish up, and serve – carving will be speeded up considerably if it is begun in the kitchen, by cutting several slices from the breast and removing wing, leg and thigh from one side of the bird, the uncut side should be carried “right side out” and if possible kept to make a second dinner on Boxing Day. 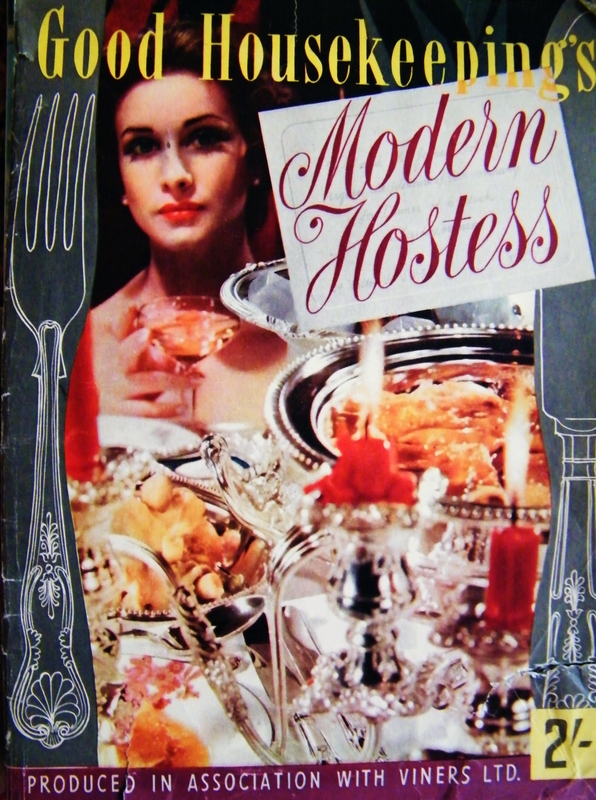 From my private collection of vintage cookbooks. The following time-table may be used as a guide is based on preparing a 14 lb turkey for dinner at one o’clock. 8.45am Light oven and set to moderate heat (350F, mark 4). 9am Put in turkey. 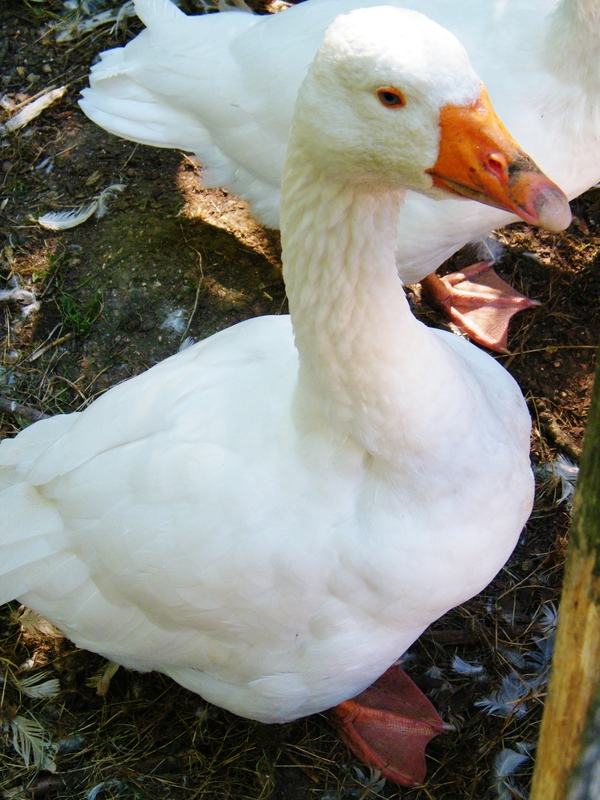 Allow 15 minutes per 1lb (dressed weight) up to 14 lb; 10 minutes per lb for a heavier bird. Baste every ½ hour. 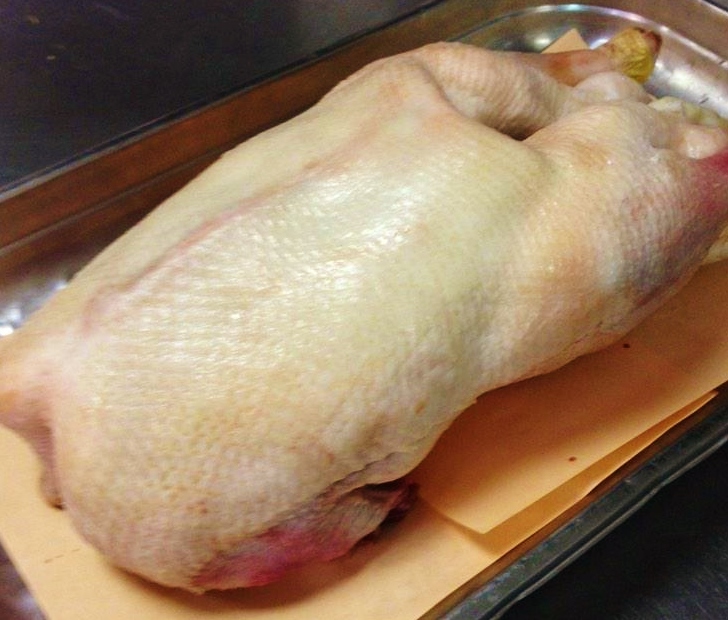 If aluminium foil is used, remove it ½ hour before the end of the cooking time, in order to brown the bird. An alternative way of roasting a turkey is by the long, slow method. Cook in a very slow (250F mark ½), for the following times: 6-12 lbs 20 mins. Per lb and 1 hour 20 mins. Over 13-20 lbs. 14 mins. Per lb and 2 ¼ hours over. 10am Put pudding on to steam. 11am Lay table with silver, cutlery, glasses, etc., arrange dessert, prepare wines, set out coffee tray, etc. 11.30am Boil potatoes for 3 minutes, and meanwhile heat some dripping in a tin. Put the drained potatoes in this and place in oven. Put onion to infuse in milk for bread sauce. 12.15pm Put sausages round bird and turn them occasionally to brown them. Put the plates to warm. 12.30pm Put on water for sprouts and cook them. 12.45pm Dish up bird. Put mince pies in oven to heat up. Make gravy. Prepare coffee. 12.50pm Finish bread sauce, dish up vegetables. 12.55pm Dish pudding and keep with basin over hot water. Turn out oven, dish up mince pies and leave in warm oven. 1pm Serve the dinner. Ingredients: 1 ½ pints wine jelly, 2 ozs walnuts, 1 tablespoonful rum, 2 ozs muscatels (seeded), 1 oz dates, 1 oz glace cherries, washed & dried. 3 ozs blanched dry almonds, 1 oz figs. Method: Make jelly, add rum, a few drops of lemon juice, an inch cinnamon stick. Chop roughly most of fruit and nuts. Pour a little jelly into bottom of wetted mould and set some fruit into patterns. When set pour in half-an-inch of jelly and allow to set. Fill in layers of fruit and jelly alternatively till the mould is full. Set in a cool place. It was once the custom to celebrate the ‘Feast Of The Stars’ by holding a ‘Twelfth Night’ party. 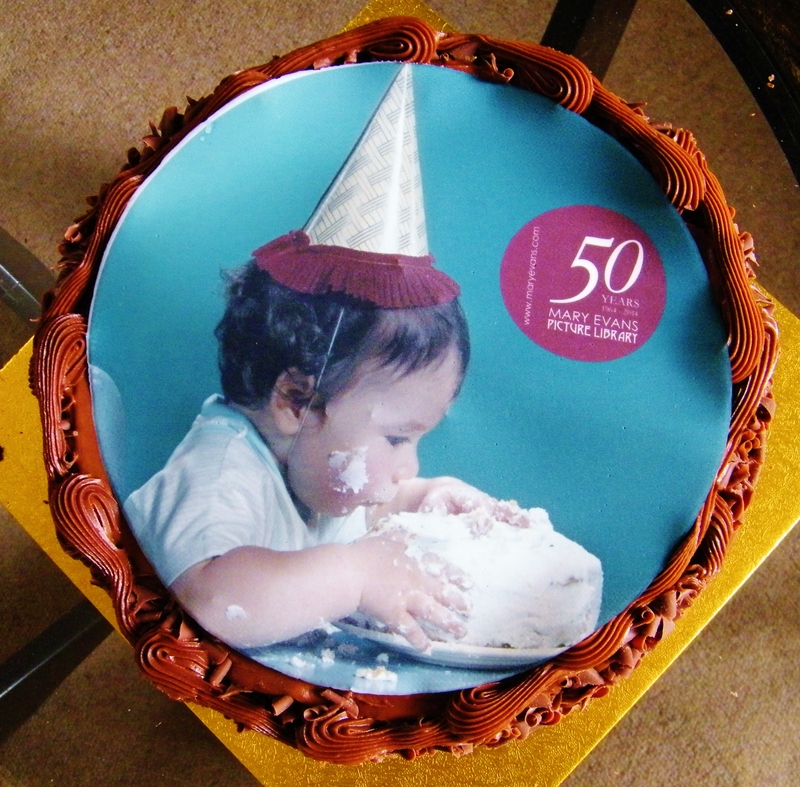 A special cake was baked for the occasion very rich and spicy. It was iced with a blue coloured icing to represent the sky and decorated with silver stars and twelve candles. Ingredients: 8ozs plain flour, 1 level tsp baking powder, 5 ozs butter, 6 ozs soft brown sugar, 4 eggs, ½ teaspoon ground cinnamon, ¼ teaspoon ground nutmeg, ½ teaspoon mixed spice, 8 ozs raisins, 1lb currants, 8 ozs sultanas, 2 ozs glace cherries (halved), 4 ozs mixed peel (chopped), 2 ozs chopped almonds, 1 tablespoons grated lemon rind, 2 ozs rum or sherry. Method: Prepare the fruit. Sift the flour with the baking powder and spices. Warm the beater and bowl. Cream the butter and sugar on speed 2 for 3 minutes, until light and fluffy. Add the eggs one at a time, beating thoroughly after each addition. Reduce to minimum speed and tip in the sift flour, then the fruit and lemon rind, switch off as soon as ingredients are incorporated. Turn into a greased tin which has been lined with greased paper and back on a low shelf for approximately 3 ½ hours at 300F. Allow to stand in tin on a rack until cool. Turn out and pour rum over the bottom of the cake and when quite cold wrap in greaseproof paper and store in an airtight tin. Kenwood Recipe Book (1967). Eggless Christmas cake from World War Two. Ingredients: 4 ozs carrot (finely grated), 2 tablespoons golden syrup, 3 ozs sugar, 4 ozs margarine, 1 teaspoon bicarbonate of soda, vanilla essence, almond essence, 4-6 ozs dried fruit, 12 ozs self-raising flour, 1 teaspoon ground cinnamon, 1 small teacup milk (slightly warmed). Method: Cook the grated carrot and syrup over a low heat for a few minutes. Cream the sugar and margarine until light and fluffy. Stir the bicarbonate of soda into the carrot and syrup mixture, then beat it into the sugar and margarine mixture, treating it as if it were an egg. Add a half a teaspoon each of vanilla and almond essence, and stir in with the dried fruit. Fold in the flour and cinnamon, and add the warmed milk to make a moist dough. Put the mixture into a greased cake tin. Smooth the top, and make a deep hole in the centre with a spoon, to stop the cake from rising too much during cooking. Put into a hot oven (gas regulo 7) then turn down to a very low heat (gas regulo 2) and bake for 3 hours. In October 1964, in the Evans’ small Blackheath home, Mary clambered onto a stool to reach the top shelf of a clothes cupboard in order to retrieve an engraving for the BBC. By this time, every last corner of their home was stuffed full of the antiquarian books, prints and ephemera that were the personal passion of Mary and her husband Hilary, and became the foundation of Mary Evans Picture Library; thus valuable engravings were forced to share a home with Hilary’s casual wear. The library grew rapidly throughout the 1960s and 1970s. 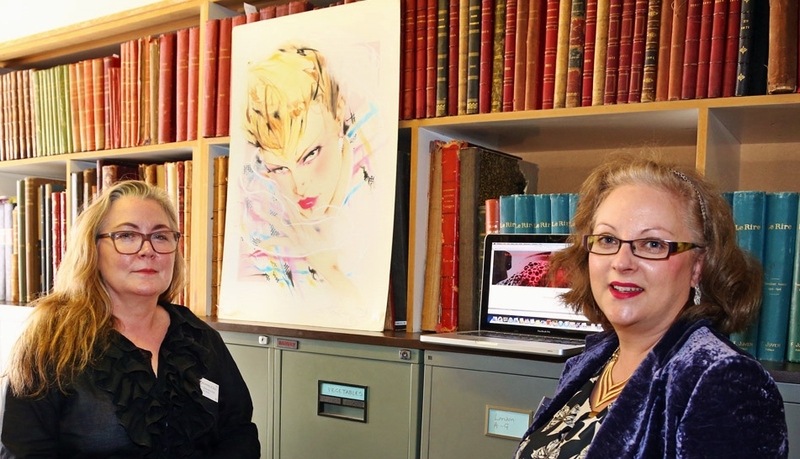 1975 was a key year when Hilary and Mary were founder members of both the British Association of Picture Libraries and Agencies (BAPLA), the industry’s trade organisation, and the Picture Research Association. In the same year they published the first edition of The Picture Researcher’s Handbook, which ran to eight editions. Hilary and Mary’s daughter, Valentine, joined the company in 1992 and her three young children are frequent visitors to the library. to make available and accessible all the wonderful images created for people to enjoy over the centuries which were originally published in books, on posters, in advertisements, or as prints. 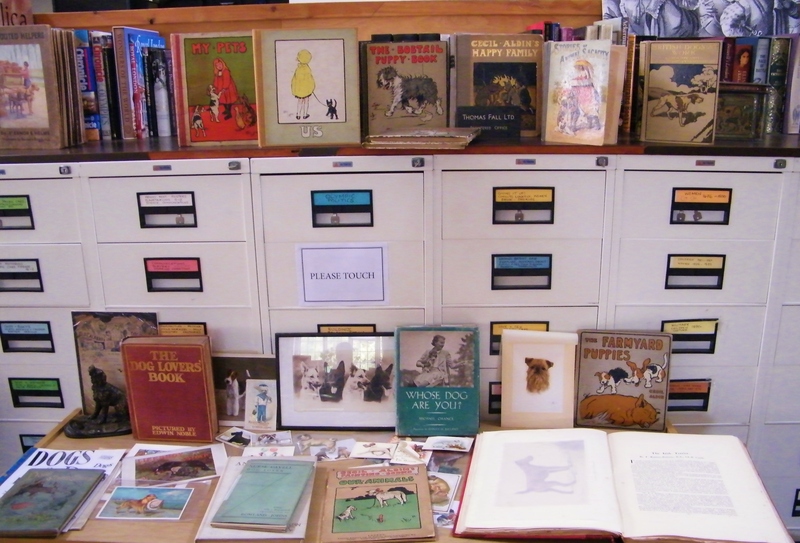 The Library have more than half a million images currently available online and five hundred new images are added every week. 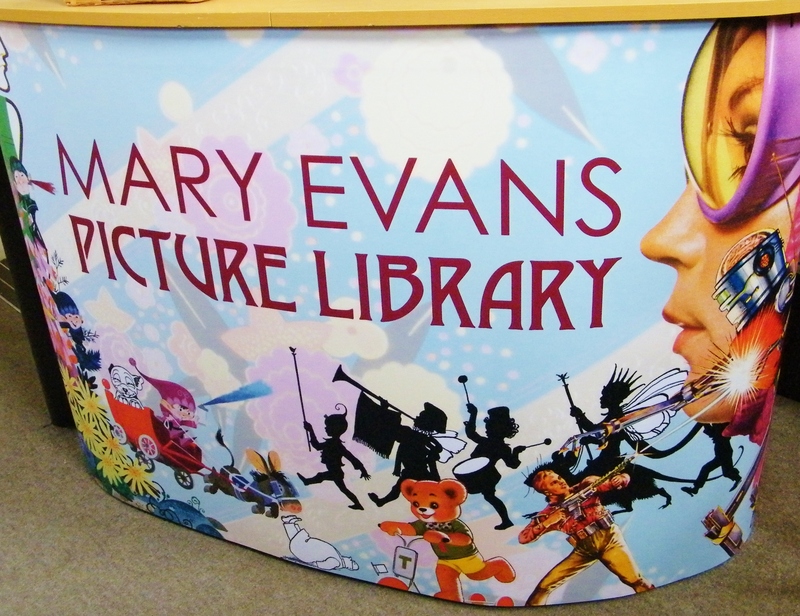 A quick glance at the end credits of a documentary or pictures featured in an editorial will reveal Mary Evans Picture Library to be one of the main contributors. 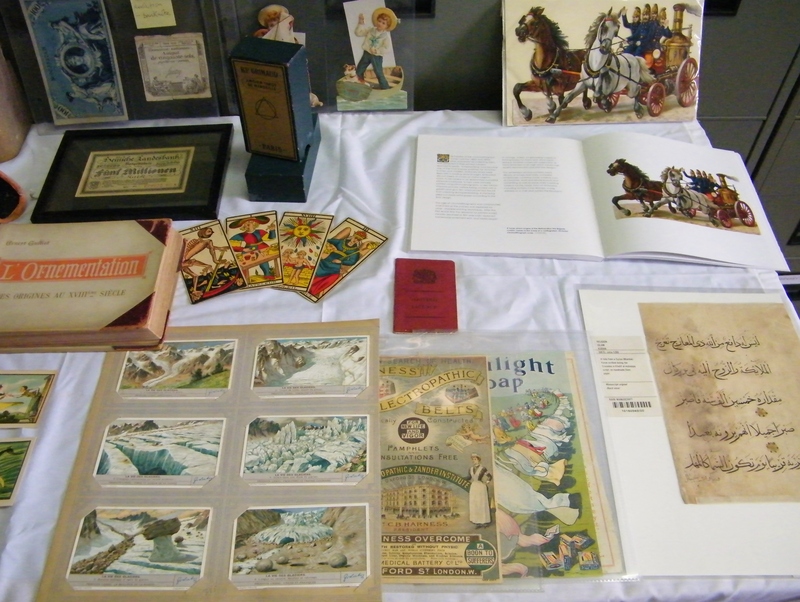 The building that now houses this priceless collection was formerly the Parish Hall of All Saints’ Church on Blackheath. It is designed in the Arts and Crafts style by architect Charles Canning Winmill (1865-1945). 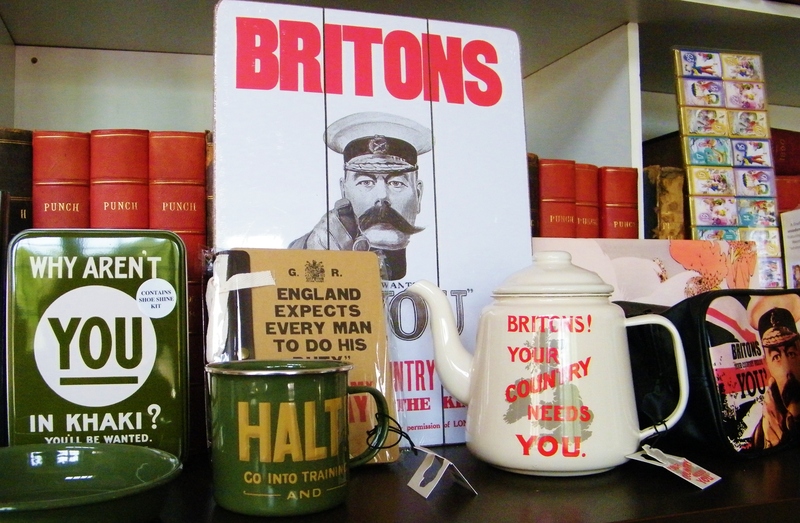 Few working offices feature desks surrounded by a fine collection of coronation mugs, a melted wax fruit display, an original Edison Phonograph and a broomstick in full flight suspended above the heads of staff. 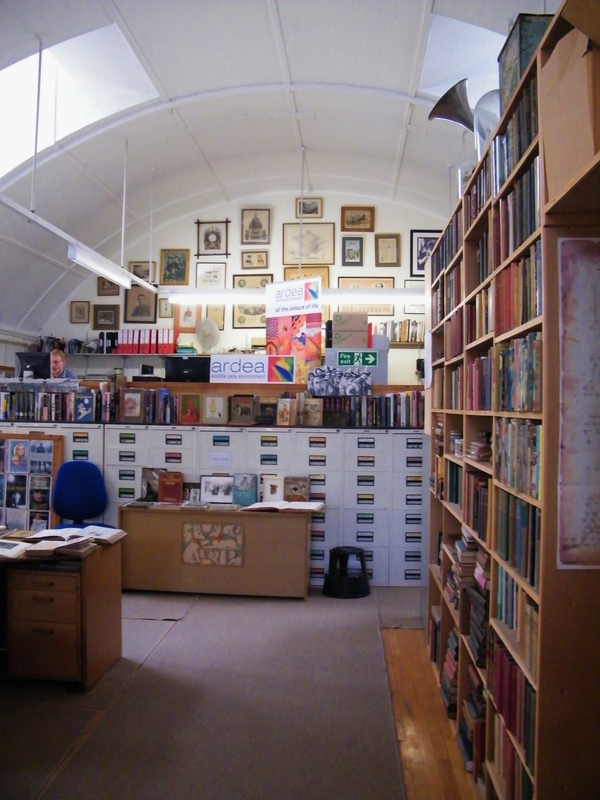 The set-up of our office is unashamedly individual, and the archive of postcard folders, rare books, boxes of ephemera and racks of bound magazines is as integral to the working space as the computers and desks, squeezed, as they are, into the last available corners. 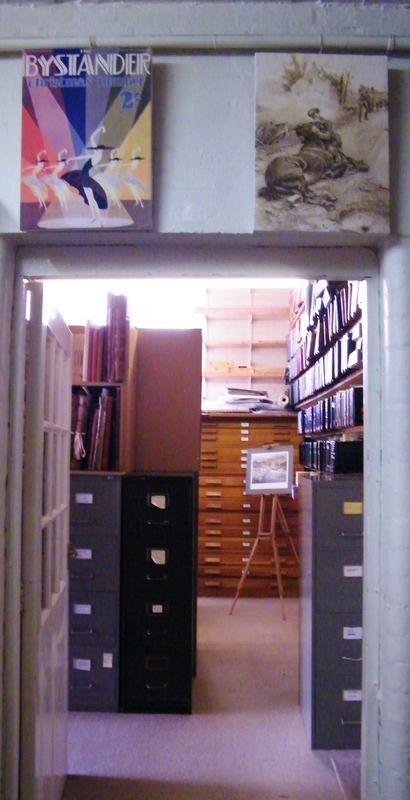 The main room downstairs will always be known as Mary’s office…. 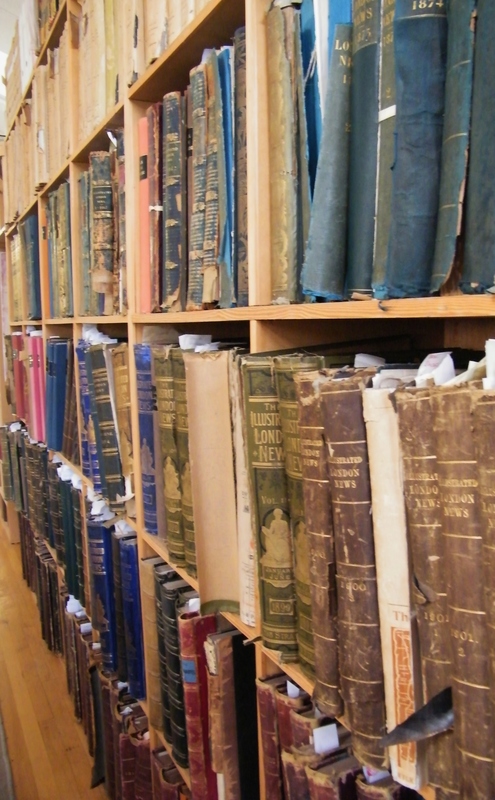 Conducting a tour of the library invariably involves squeezing past colleagues, step ladders, Missie the dog, someone preparing lunch or a private researcher hidden behind five large volumes of Illustrazione Italiana from the 1880s. Fashion artist Anne worked for a range of prestigious clients during the 1980s and ’90s. Anne studied fashion and design at the University of Brighton (1970-73), St Martins School of Art (1975-1976) where she was trained by Elizabeth Suter and Colin Barnes. In 1993 Anne studied at the Royal College of Art, London, undertaking a Research Degree by project. 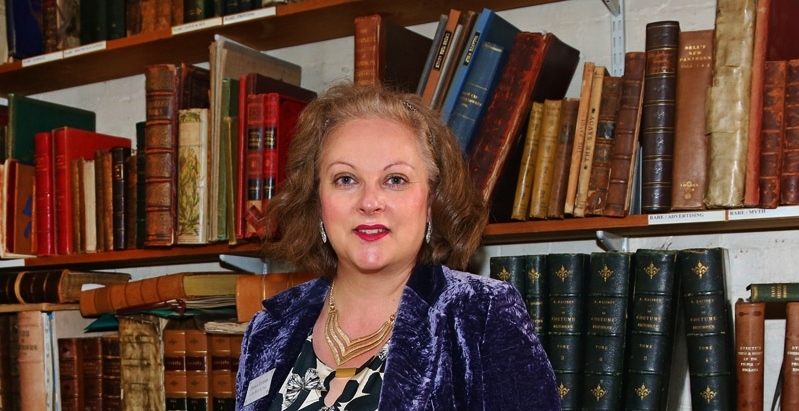 During her long and high-profile career Anne’s clients have included Harrods of Knightsbridge, Fortnum and Mason, Garrards Crown Jewelers, Burberrys, the Sunday Times, Vogue, Cosmopolitan Magazine and more. One of Anne’s many career highlights includes working for Mattel Inc. in California (1997-1998) as an Art Director for Barbie Collectibles. During her time at Mattel Inc. Anne created a Princess Diana Doll and an Elizabeth Taylor Auction Doll which was purchased by actress Demi Moore. I had the pleasure of speaking at length with Anne about her extraordinary career. For further biographical information about Anne, click here. For more information about Anne’s career as a Doll Designer, click here. Browse Anne’s Air Kiss Collection which is managed by Mary Evans Picture Library, click here. The archive of the LFB (The London Fire and Emergency Planning Authority) is managed exclusively by the Mary Evans Picture Library. 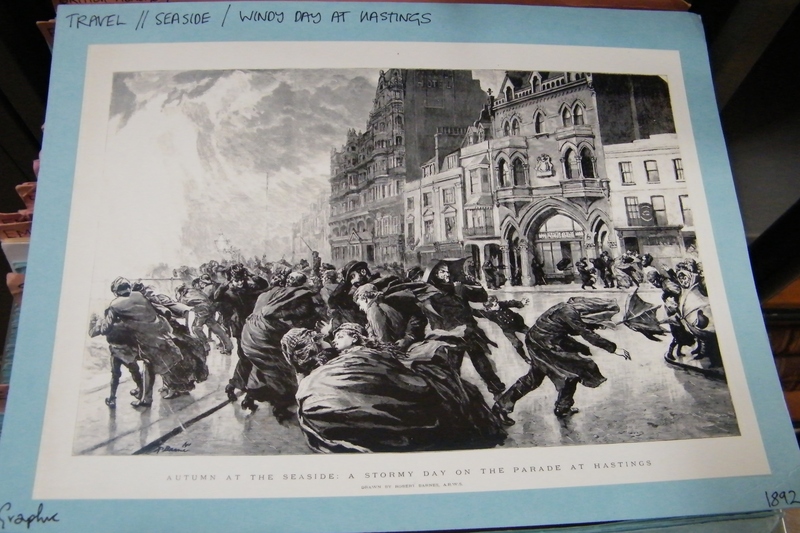 The collection contains extensive documentation of the fire service in London from the nineteenth century to the present day. Subjects covered by the images include: World War Two, the Blitz, 1936 fire at Crystal Palace, fire-apparatus from Selfridges Department Store (1966), historic fire-fighting equipment and vehicles. 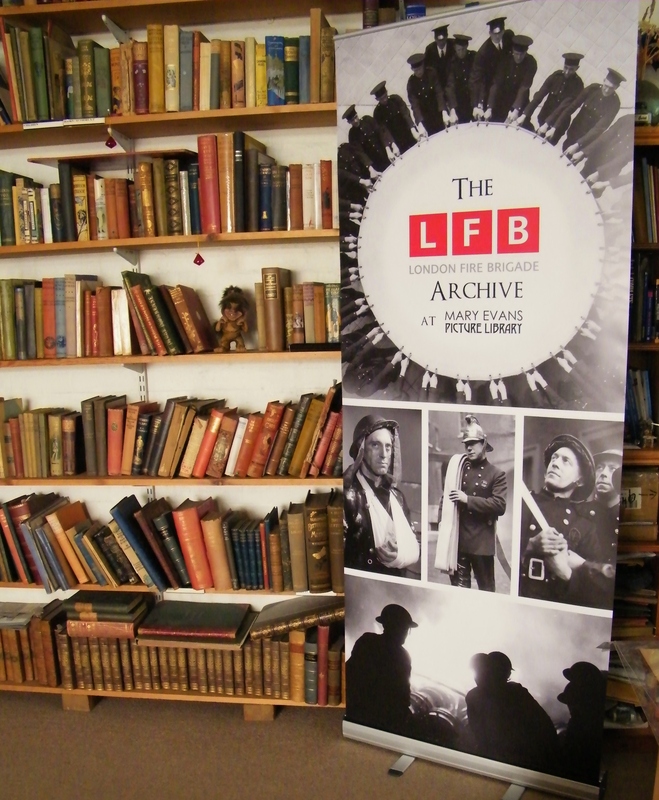 For more information about the LFB archive, click here. 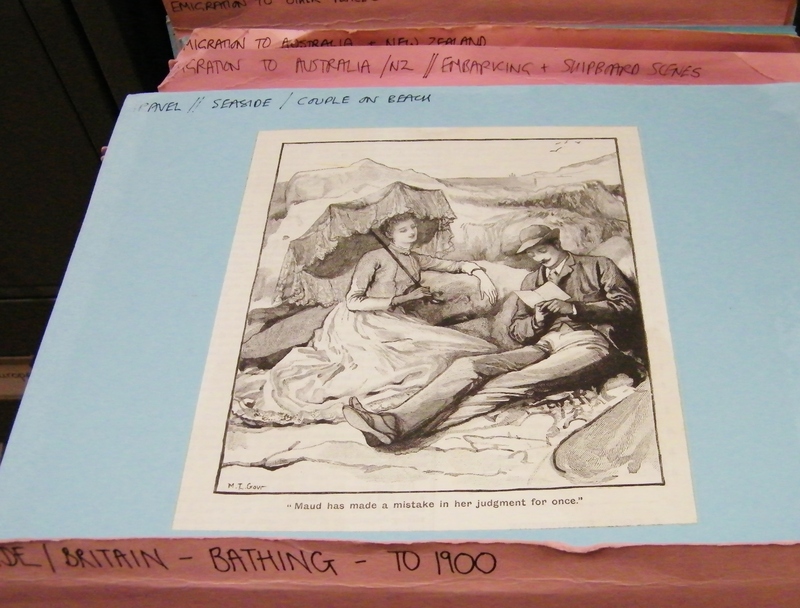 Grenville Collins’ collection comprises over ten thousand images, mostly from before World War One. Grenville has one of the world’s most comprehensive selection of postcards depicting Turkey and the late Ottoman Empire. In the 1960s, Grenville managed rock band, The Kinks, following which, in the 1970s, he lived near Bodrum in Southern Anatolia, Turkey. Included in his collection are several books of postcards by Max Fruchtermann who published Turkey’s first commercial cards in 1895. I thoroughly enjoyed talking to Grenville, his collection is outstanding. 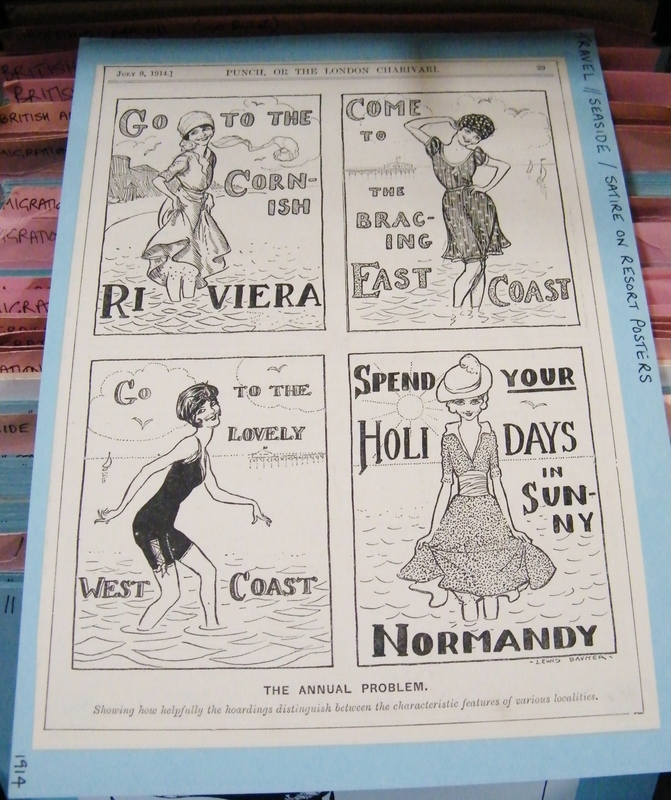 Browse the Grenville Collins postcard collection managed by Mary Evans Picture Library, click here. One of the more unusual collections managed by Mary Evans Picture Library are the silhouettes of Captain H. L. Oakley (1882-1957). 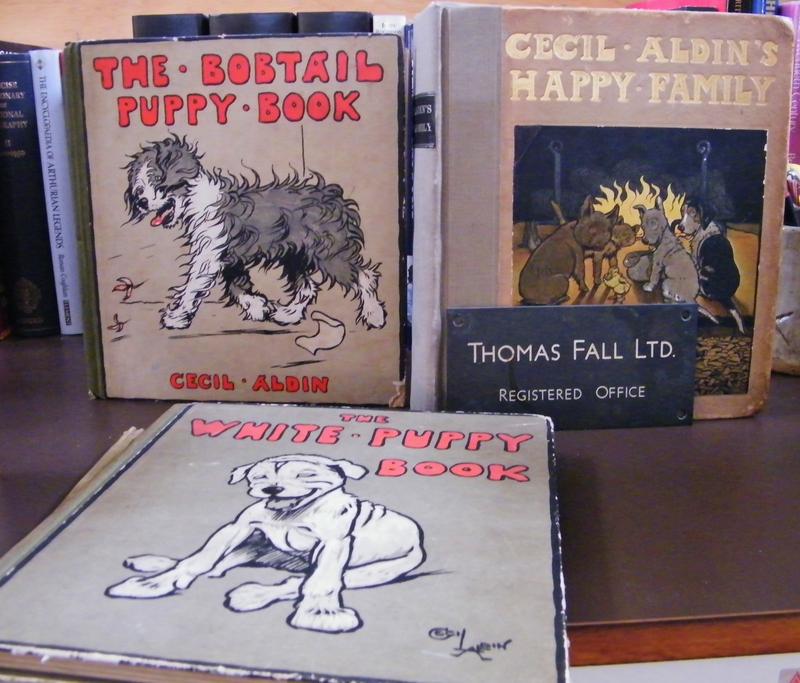 Oakley’s great nephew and biographer, Jerry Rendell, attended the open day with some fine examples from his private collection. Jerry has written a book about his great uncle’s work, Profiles of the First World War – The Silhouettes of Captain H. L. Oakley (2013, The History Press). Oakley was known as ‘the man with the magic scissors’ who began cutting silhouettes aged just seven years old. He trained at the Royal College of Art. During World War One, he served with the Yorkshire Regiment, the Green Howards, transferring to the 96th (Lancashire) Brigade in May, 1918. Oakley contributed silhouettes and drawings to the trench newspaper, The Dump. His work also appeared in The Bystander (8th March, 1916, ‘Trench Life in Silhouette’). ‘The Man with the Magic Scissors: Oakley of The Bystander‘s Western Front in silhouette’, by Luci Gosling (Mary Evans Picture Library), published 27.8.2013, click here. The library recently launched a superb First World War blog (Picturing The Great War)dedicated to showcasing some of the more unusual and surprising content from the period which is currently held in the collection, click here. In October, 1965, London Life, launched. Although the magazine only lasted fifteen months (closing, Christmas Eve, 1966), it is a wonderful record of swinging sixties London. 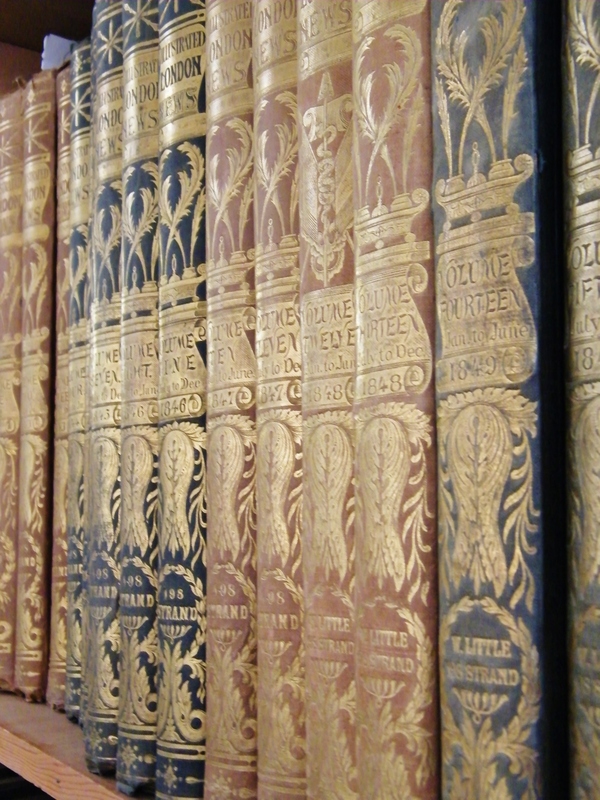 The library has a complete run of London Life, in five volumes. Each publication reads like a who’s who from the world of sixties music, fashion, media and photography (Terence Donovan, Twiggy, Gerald Scarfe, Jean Shrimpton, Terence Stamp, Ian Dury, Vidal Sassoon, Joanna Lumley, Celia Hammond, Peter Akehurst, the list goes on). These iconic individuals helped shaped London as a vibrant cultural hub during one of the twentieth century’s most dynamic decades. London Life was edited by Mark Boxer, founder of the Sunday Times magazine, the managing editor was David Puttnam (now Lord Puttnam). 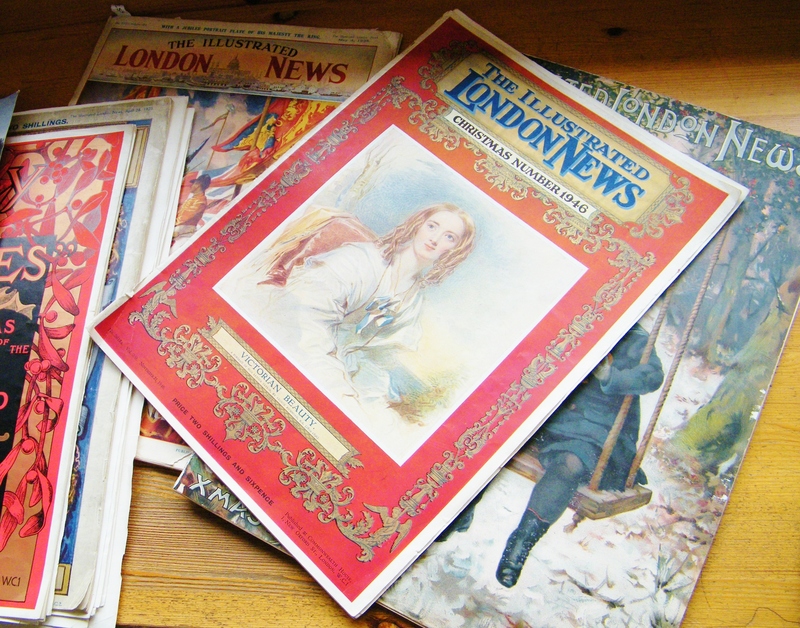 The Illustrated London News (ILN), launched on 14th May, 1842, is one of the library’s high profile collections. 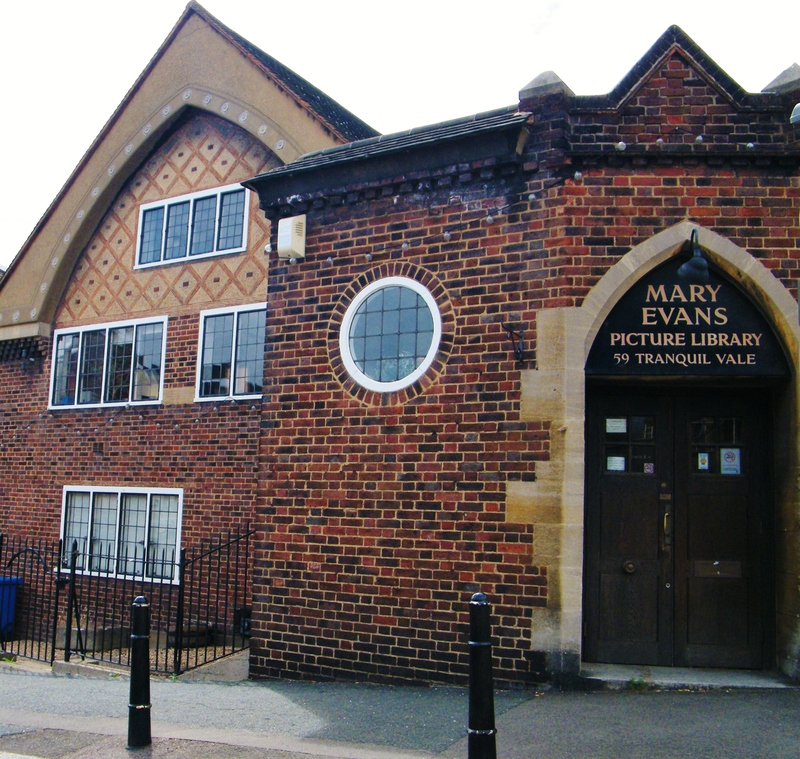 Although the ILN Picture Library (which also includes The Graphic, The Sphere, The Tatler, The Bystander, The Sketch, The Illustrated Sporting & Dramatic News, The Illustrated War News and Britannia & Eve) remains under the ownership of Illustrated London News Ltd, the back catalogue of publications are housed at the Mary Evans Picture Library in Blackheath. Due to the importance of this world-class collection, it was once known as the ‘Great Eight’. Hilary Evans was a world-renowned authority on paranormal phenomena. The library has an excellent selection of images on this topic in addition to Hilary’s own publications in this field: Seeing Ghosts: Experiences of the Paranormal (2002), Panic Attacks: The History of Mass Delusion (2004), and Sliders: the Enigma of Streetlight Interference (2011). 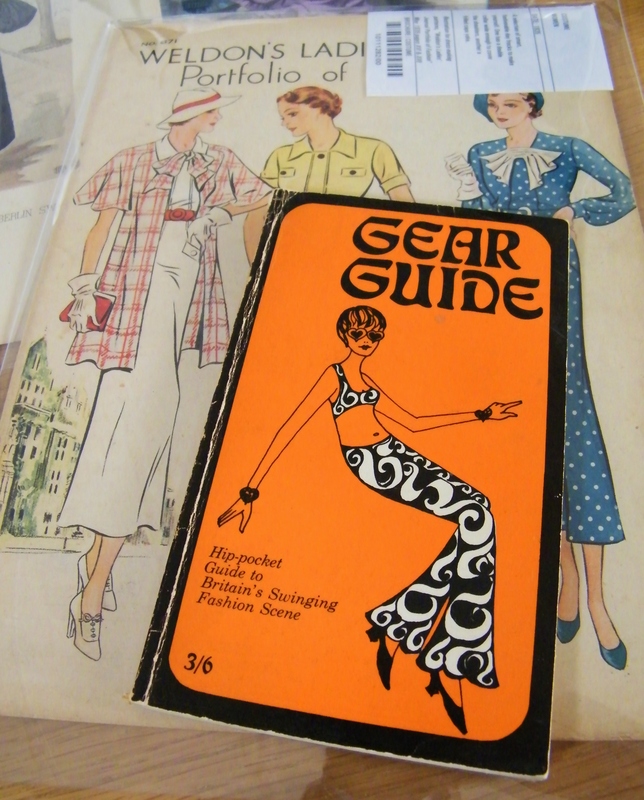 Vintage fashion is well-represented in the library’s collection with a number of rare publications. They have: a six-volume Le Costume Historique by A.Racinet; Strutt’s Dress and Habits of the People of England; French fashion journals, Gazette du Bon Ton and Art, Goût, Beauté, both with pochoir fashion plates. 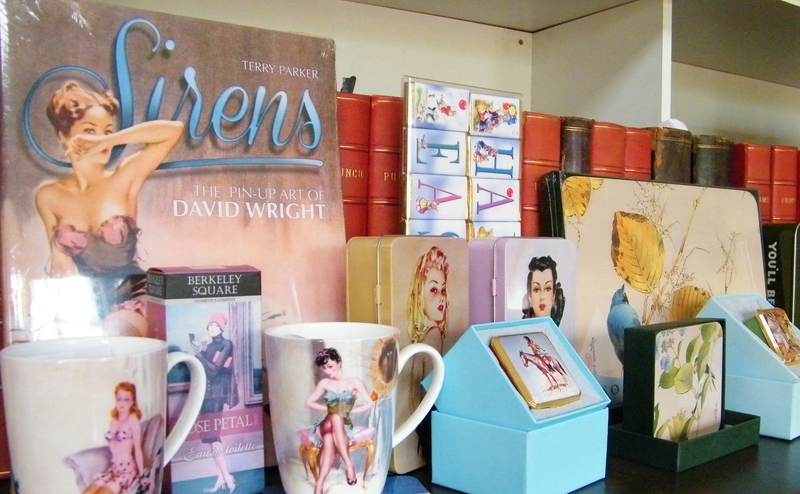 The library also represents designers Hardy Amies (1909-2003) and Victor Stiebel (1907-1976). 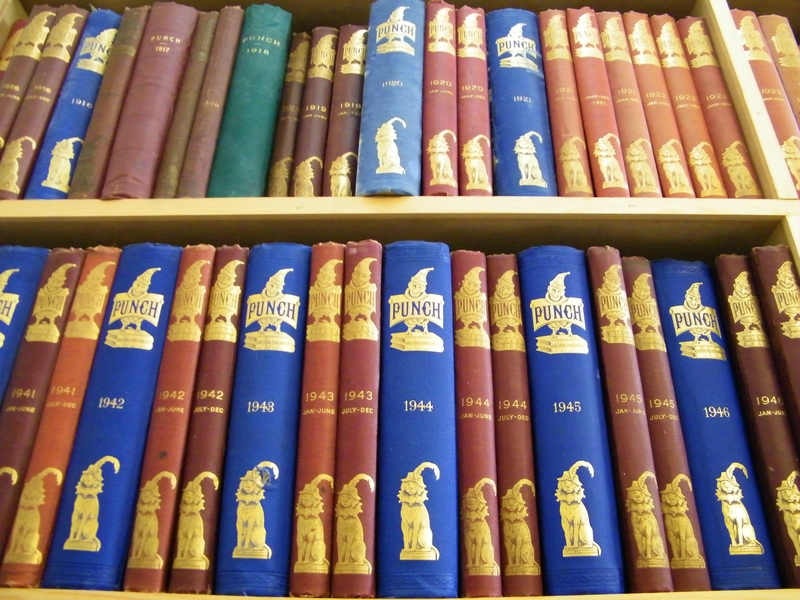 Ninety plus volumes of A & C Black colour books, published between 1901 and 1921, are held in the collection. 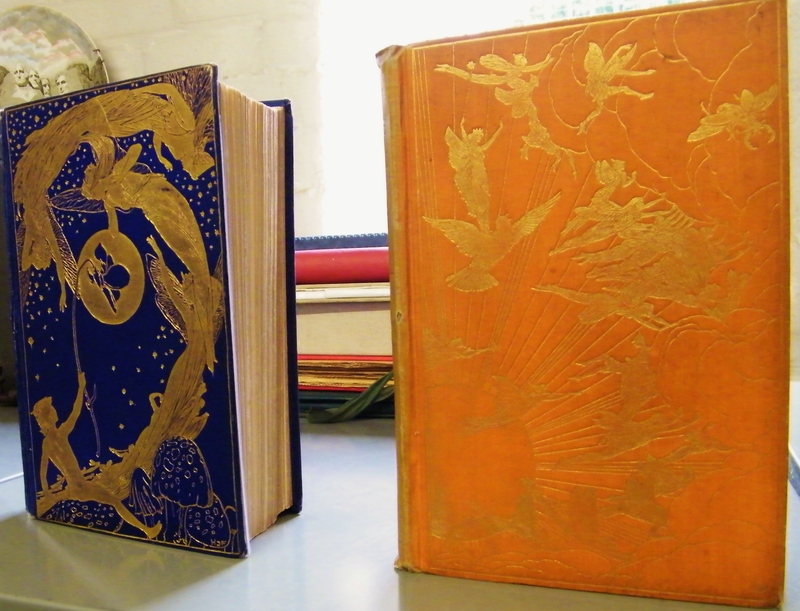 These books have distinctive cover designs which are decorated in gilt and inside, plates have been produced by adopting a three-colour process which was popular at the time. 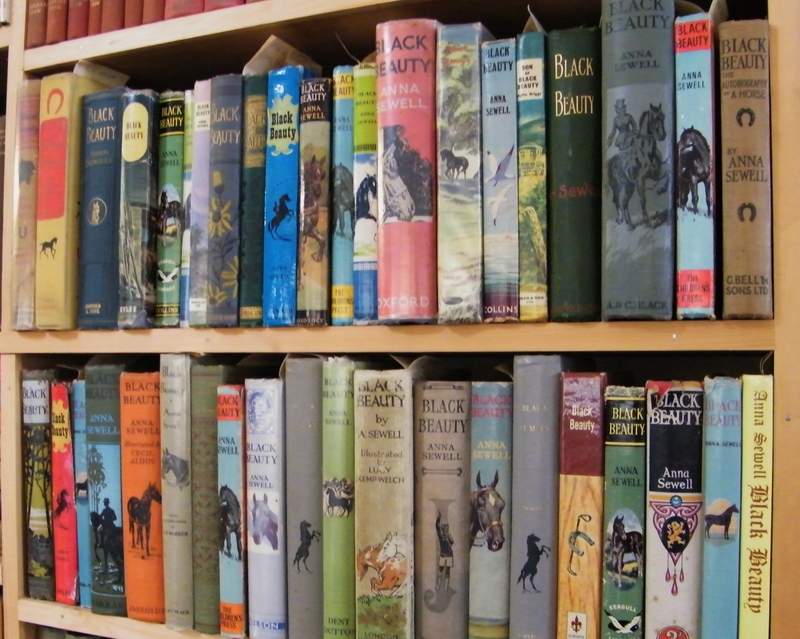 Mary collected several hundred different editions of Black Beauty by Anna Sewell, including a first edition. ©Come Step Back in Time. 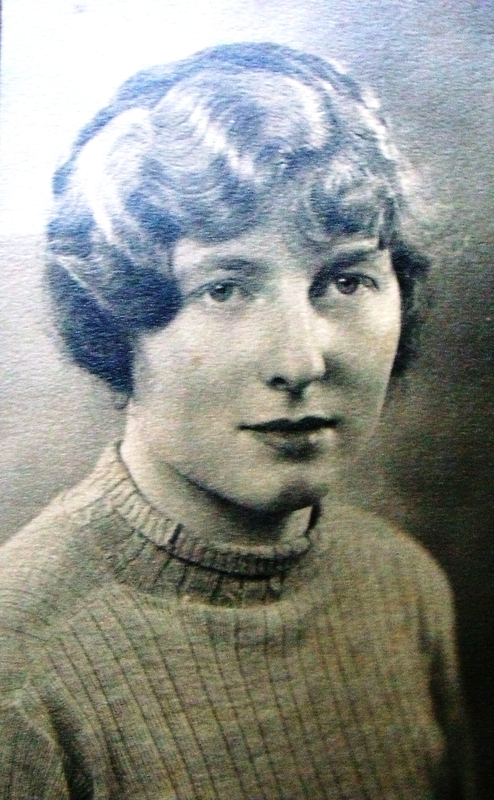 My Grandmother who was a hairdresser in the 1930s. She wears her hair in a popular style of the period, braided with deep ‘waves’ to frame the face. I am fifteen years of age and attend West Kensington Central School. I live in Shepherds Bush at present and have done all my life. I have fair hair, blue eyes and am about 5ft 2 inches in height. I like school very much but I do not like going home in the evenings to a lot of homework. It is my ambition to be a hairdresser but my parents are very doubtful and prefer the Civil Service. I am fond of sports, hockey and tennis in particular. My chief dislike is housework, cooking, sewing and other duties I do not dislike but I can never force myself to do housework with a good heart. My best subject at school is maths, and at this I make progress but French on the other hand is my weakest. I think I have a few good qualities but I am afraid to think of my bad ones in case they outrun the good. I am very determined to get a thing if I have set my heart on it, but on the other hand I am obstinate. The above extract is from an essay written by my late grandmother in 1931 when she was just fifteen. The self-confessed ‘obstinate’ streak served her well, rejecting her parents’ wish that she join the Civil Service and instead leaving school at sixteen to train as a hairdresser. The Headmistress of her School in West Kensington was not best pleased, after all she was practically top of her class in mathematics and could pick from a wide range of employment options. ©Come Step Back in Time. 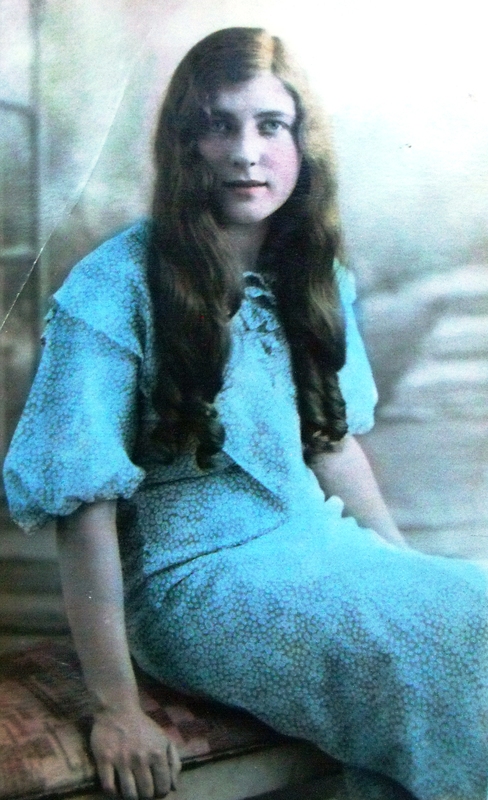 My grandmother as a young girl in the late 1920s. My late grandmother knew what she wanted to be and didn’t waste any time in embarking upon her career choice. She enjoyed a highly successful, albeit relatively short, career as a society hairdresser in London. 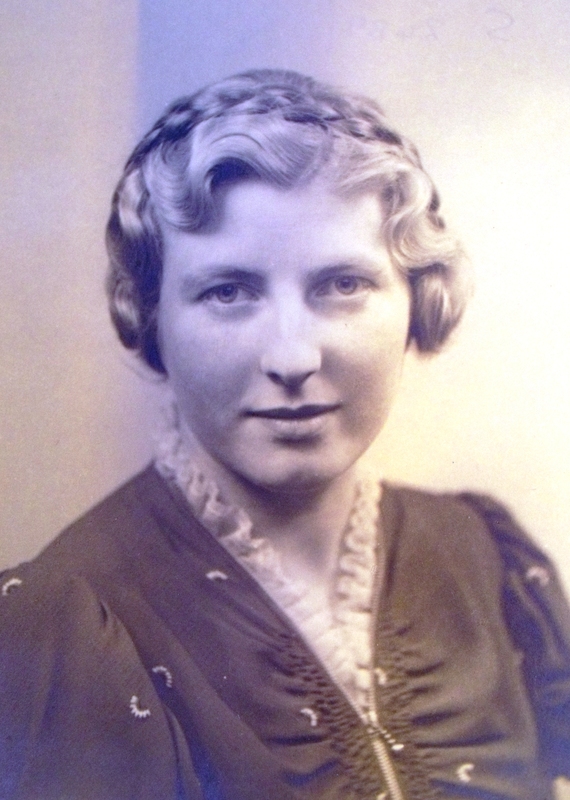 By the end of the 1930s, now in her early twenties, she was managing one of the top hair and beauty salons in Mayfair. This exclusive Square Mile meant her clients were a mix of wealthy business people and stars from the entertainment industry. ©Come Step Back in Time. Grandmother striking a film star pose in the 1930s. During a recent trawl through our family archives, which are currently kept by my Aunt, we discovered a pile of old papers belonging to my grandmother. Imagine our thrill when we noticed some of her original business cards from the 1930s sticking-out from the bundle. 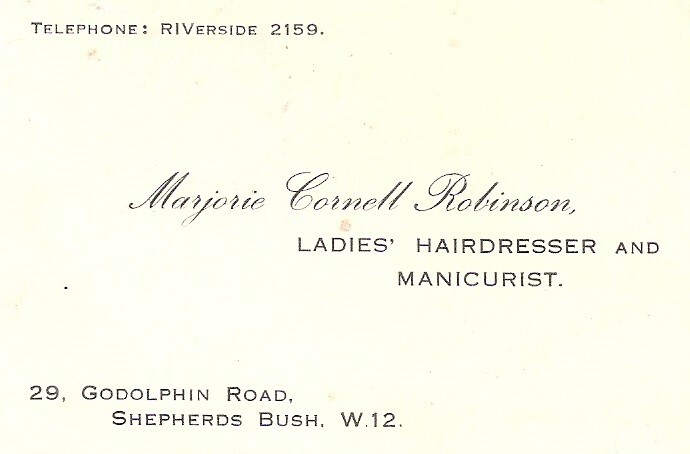 The address on the front is not the salon address but her home address in Shepherds Bush. In addition to her work at the salon she also had a number of private clients. ©Come Step Back in Time. Grandmother’s original business cards from the 1930s. 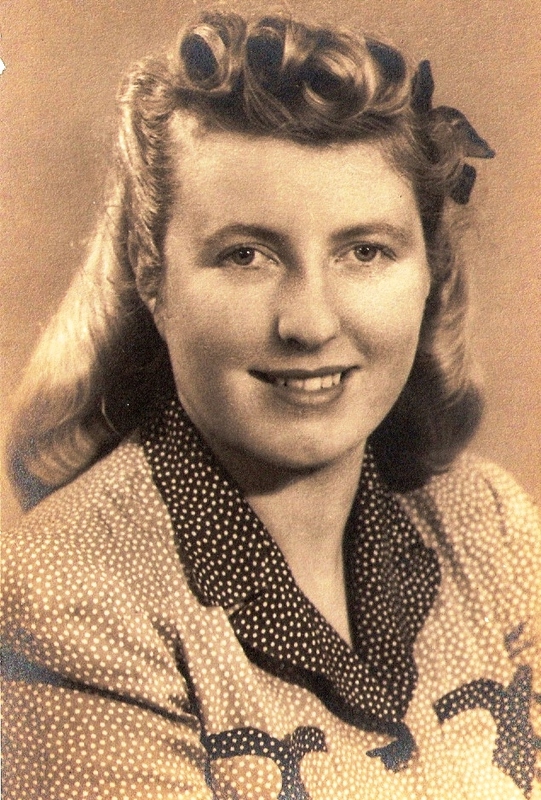 World War II interrupted the working lives of many women including my grandmother. Hairdressers were known to have very nimble fingers and as such were often asked to contribute towards the war effort by working in the munitions factories. 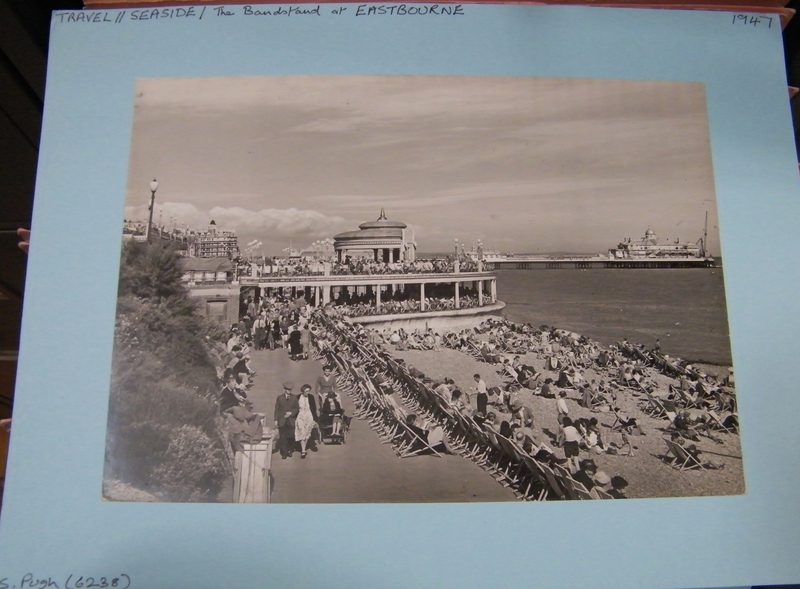 My grandmother decided that this was not for her (perhaps the obstinate streak rearing its head once more) and following her marriage to my late grandfather in 1940, they moved to Essex. ©Come Step Back in Time. 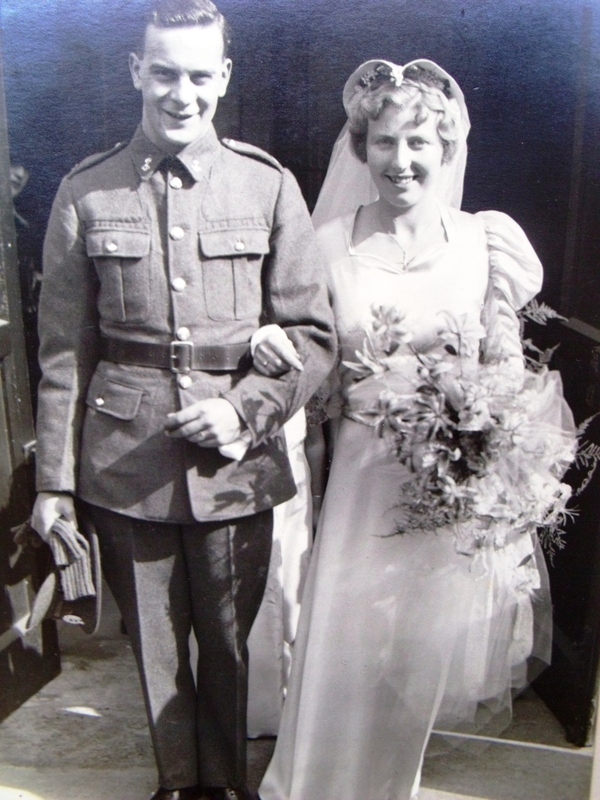 My grandparents on their wedding day in 1940. My grandmother wore a blue satin bias cut wedding gown. Until my mother was born in 1944, grandmother continued to work as a hairdresser, managing another salon in Galleywood, near Chelmsford. If she were alive today, I often wonder what she would think of all the permatans, vajazzles and hair extensions. Although, to be honest I would like to think she would be quite amused by it all really. 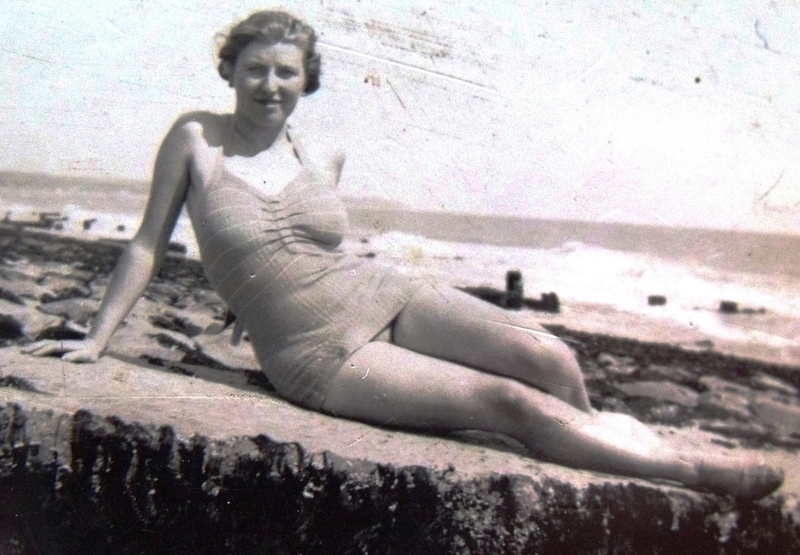 ©Come Step Back in Time My late grandmother on Hythe beach, Kent in the 1930s. During her time working at the Mayfair salon, grandmother acquired quite a star-studded client list including: Pamela Mason, James Mason, Dame Anna Neagle, Margaret Lockwood, Sylvia Sims and the Head of United Artistes Pictures and his wife. The salon contained a series of discrete, individual cubicles, inside of which the glamorous and wealthy were primped and preened, whilst outside the chauffeur paraded up and down the pavement exercising the Pekingese. Clients would often bring their own perfumes stored in elaborately designed glass defusers. Once the hairstyle had been set my grandmother would spray the hair with these expensive French scents. Some of the more high-profile clients did not wish to come to the salon, so a chauffeur driven car would be sent to pick my grandmother up and take her to the client’s house or apartment. One story that my mother told me, is that on one of these home visits my grandmother had been asked to style a lady’s hair and manicure her nails in readiness for a VIP party to be held at their house that evening. The party was to honour the lady’s birthday and her husband (who worked in the film industry) had the doors to all of the rooms in the house removed and replaced with gold-plated gates. This Kardashianesque display did not end there, the house had also been filled with a variety of ‘props’ including fountains and sculptures. The whole house was turned into a Hollywood film-set, very far-removed from a townhouse in central London. The lady told my grandmother that she envied her life, which surprised grandmother somewhat. The lady went on to explain that she could have anything she wanted but nothing really had a value because she didn’t feel that she had earned the money to pay for it herself. The envy stemmed from the fact that my grandmother was independent and everything she brought she had to earn the money before she could purchase it. As they say, ‘all that glitters is not gold’. Video clip from Olympia’s Health and Beauty Fair of 1938 shows complex pin-curl hair styling. CLICK HERE. Video clip from the International Hairdressing Exhibition in Paris, 1933. A deep ‘wave’ and pin-curl extravaganza. CLICK HERE. Video clip showing a British hairdresser re-creating the fashionable ‘Mingle’ haircut from 1931, a mix of ‘waves’ and curls with hair accessories. CLICK HERE. Hairstyles in the early 1930s contained influences carried over from the 1920s. 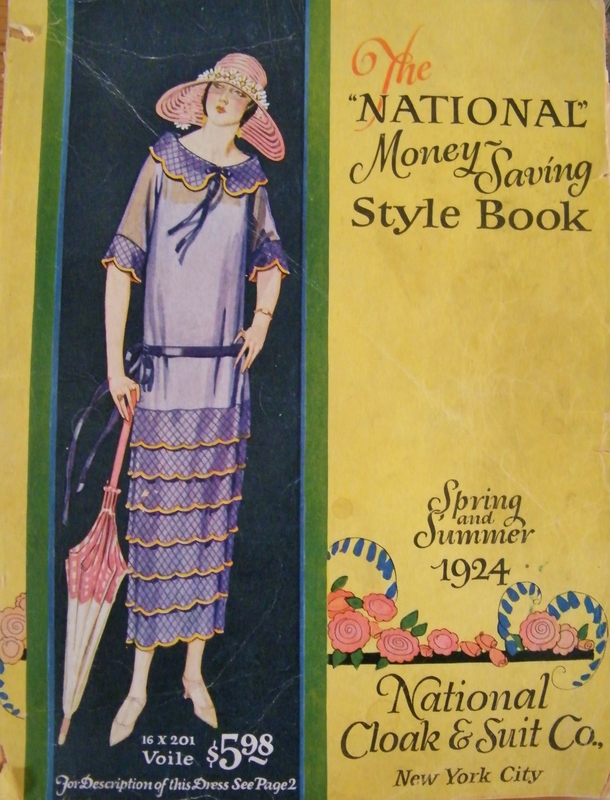 For the ladies, ‘bobs’ and variations on the boyish ‘shingle’ were still popular. Long bobs with demi-waves were fashionable towards the middle of the decade influenced perhaps by Hollywood starlets. Some of the newer trends included bold ‘waves’, flat pin-curls, perms and sets. Apparently, my grandmother was a particular fan of deep ‘waves’ and used a sugar and water solution on the hair to aid setting. She also liked braids pinned across the front of the head in such a manner so as to frame the face. Earlier this year, this ’30s trend came back again, minus the deep ‘waves’ of course. 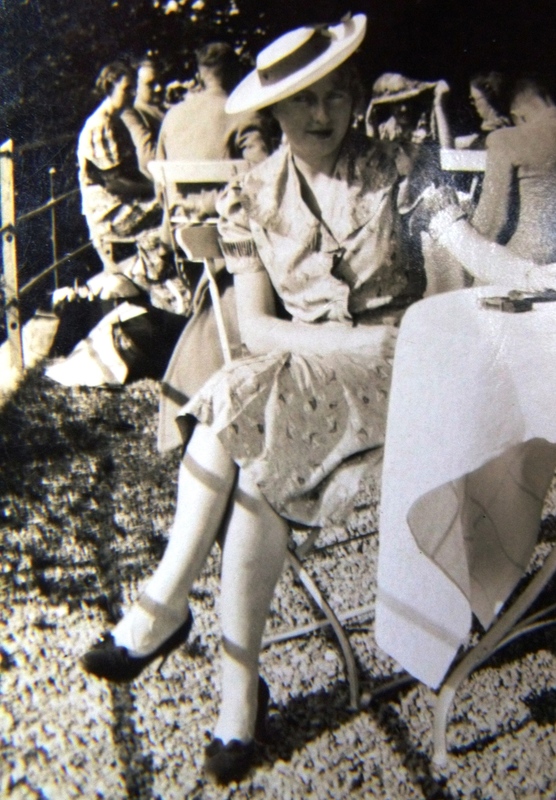 My mother remembers my grandmother styling ‘waves’ well into the1950s. 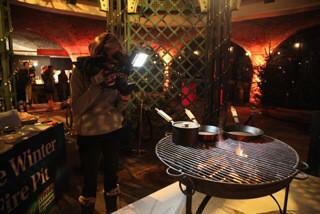 However, by this time she was using heated electric tongs to create the look. In those days thermostat controls on electrical hair appliances were pretty temperamental and in order to avoid singeing the hair, she would hold the flex and swing the tongs backwards and forwards to help them to cool before beginning styling. 1930s fashion for curls pinned on one side. 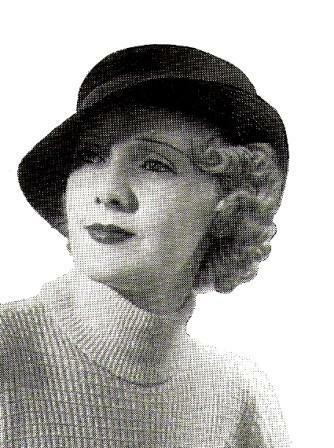 Towards the end of the 1930s, curls were a key trend. Whether worn loose or tight they were often piled-up on the top of the head or to one side and accompanied with a slight, sweeping fringe. By the outbreak of World War II in 1939, curls featured less on the top of the head and more often at the ends of hair, which was now worn longer. Many women who entered war work cut their hair short or covered it using a variety of practical headwear, particularly scarves. During the 1920s, beauty regimens and application of make-up had been mostly the preserve of starlets, theatricals, bright young things and wealthy aristocrats who were fortunate enough to have a personal maid assist them with its preparation and application. 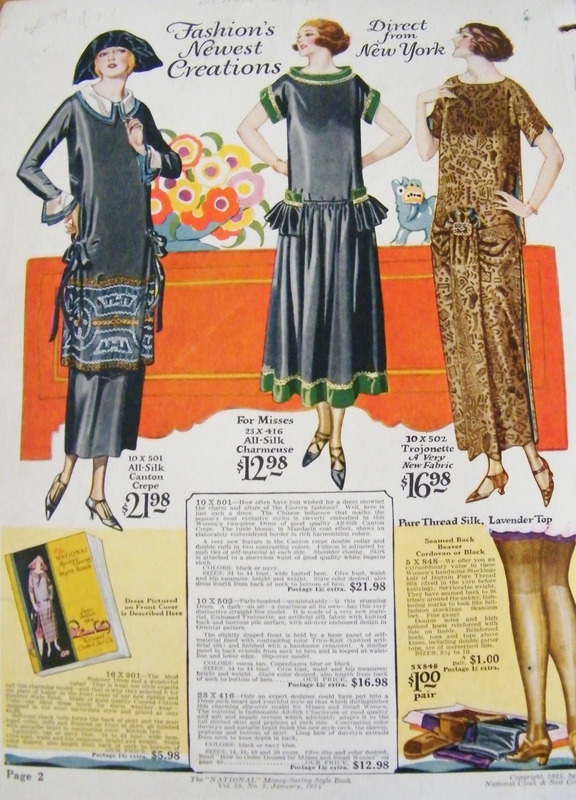 The 1920s is the decade when suntanned skin became acceptable and fashionable. Achieving a tan was now much easier, thanks to the rise in popularity of outdoor pursuits such as sunbathing, PT, swimming, cycling and tennis. 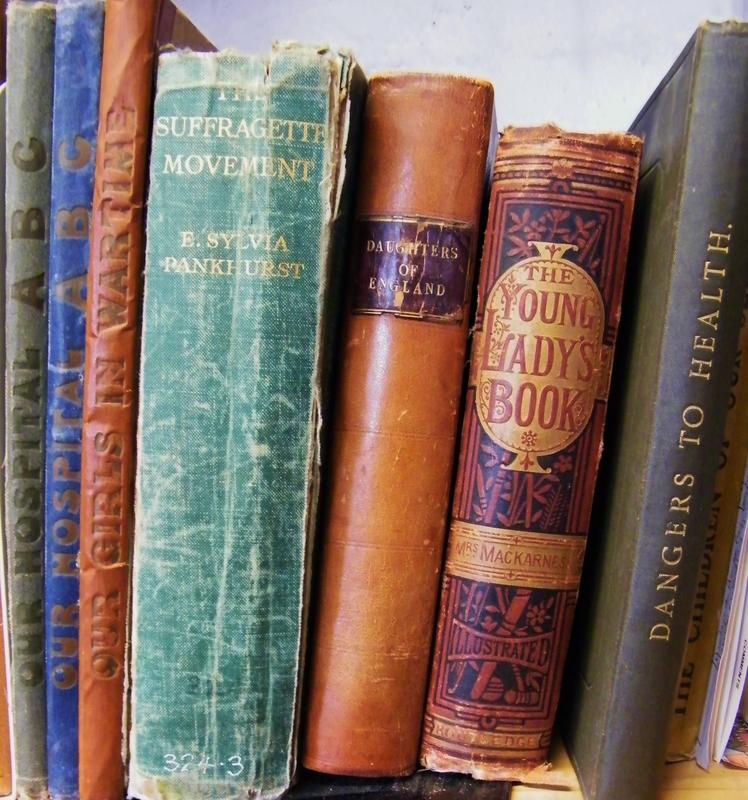 In 1930, Mary Bagot Stack (1885-1935) created the Women’s League of Health and Beauty which followed on from the success of the London-based Bagot Stack Health School, which she had opened in 1925. The Women’s League of Health and Beauty (now known as the Fitness League) was very popular and enabled women to exercise, en-mass, in public places wearing their gym clothes. All without breaking any of the social codes and conventions imposed upon women at that time. I found this short clip of the WLHB exercising in a park in 1937. CLICK HERE. 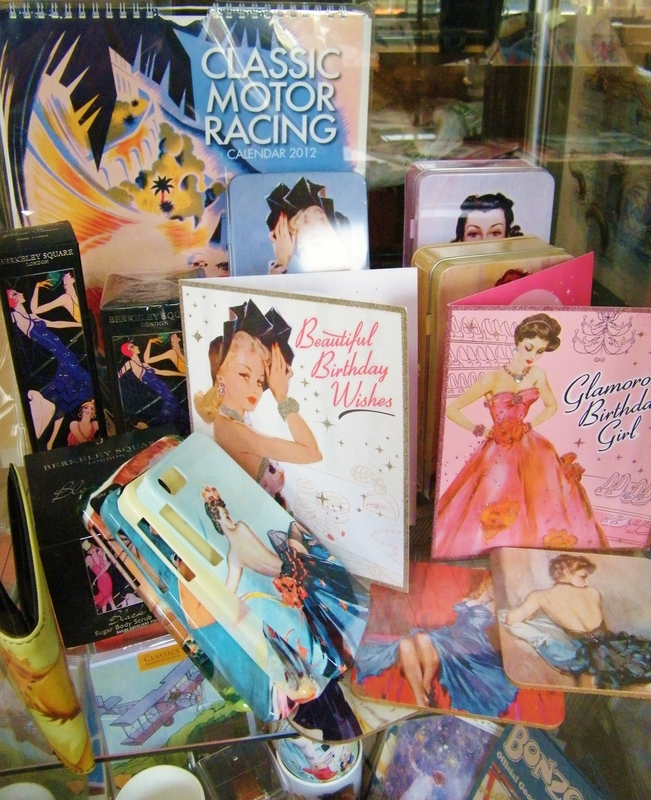 The film industry, particularly in America, played a significant role in popularising make-up and beauty products in the late 1920s and throughout the 1930s. Prior to the introduction of Eastman Kodak’s panchromatic film stock in 1926, black and white films were made with blue-sensitive film. This type of film stock was sensitive to the blue-violet end of the visible spectrum and insensitive to the yellow-red end. The consequences for the actress with blonde hair, blue eyes and painted red lips would be that she appeared on-screen with very light hair, white eyes and black lips. Thick, ghostly pale, pan stick or greasepaint would be applied to smooth-out skin imperfections and on top of that plenty of blending powder, finished-off with shading to accentuate eye sockets, jawbones and prominent facial features. Without such make-up techniques the actor or actress would be completely washed-out on-screen due to the harsh lighting and blue-sensitive film. Following the introduction of sound, studio lighting changed. In 1927, arc lamps were replaced with tungsten lamps, make-up styles had to change once more to accommodate this new lighting. Film stock became increasingly more sophisticated, resulting in higher definition of facial features and the revealing of a wider range of skin tones in the finished print. In 1931, Eastman Kodak introduced their Super-Sensitive Cine Panchromatic stock which was sensitive to the full colour spectrum. The use of greasepaint was no longer required and actors were encouraged not to wear any make-up unless they were playing a character role. This did not go down well at the time. However, leading make-up artists of the day such as Percival Westmore (1904-1970) who was Head of the Warner Brothers Make-up Department and the team at Max Factor embraced the changes. These artistic Titans spotted a gap in the market for a range of everyday beauty and make-up products suitable for both starlet and shopgirl. 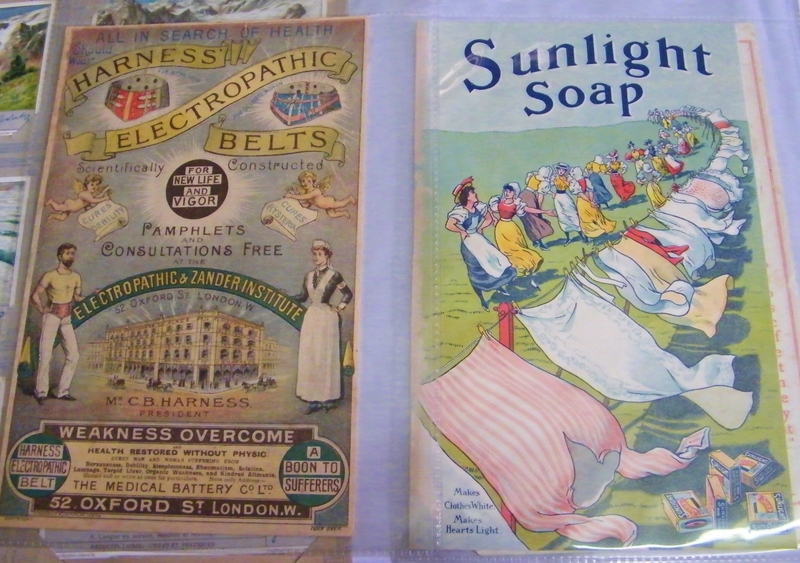 The House of Westmore were the first to successfully launch their own beauty product range which soon gained popularity with women on both sides of the Atlantic. The 1930s is where you begin to see early examples of celebrity endorsement of beauty and make-up products. Bette Davis, Merle Oberon and Olivia de Havilland were often to be found in magazine advertisements promoting the Westmore brand. The beauty industry really took-off in America and Britain in the 1930s and the influence of cinema in creating this thriving market should not be underestimated. 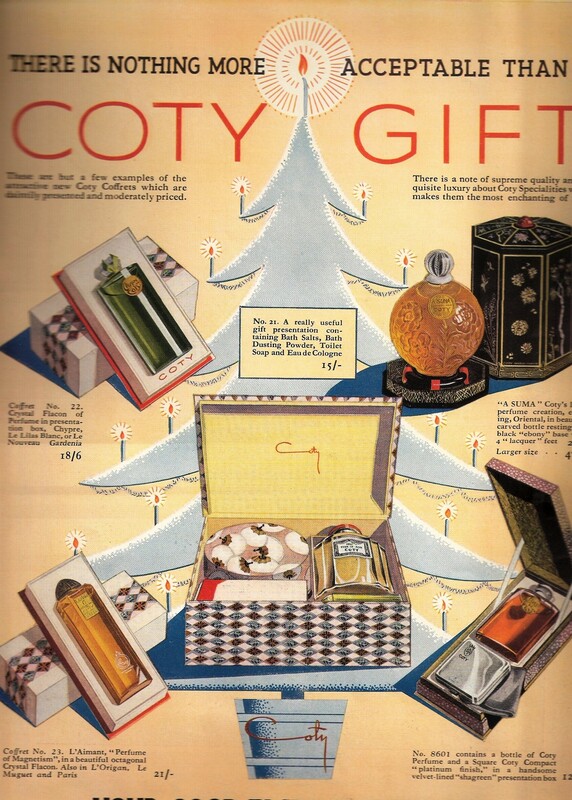 Advertisement for Coty beauty products from 1935. 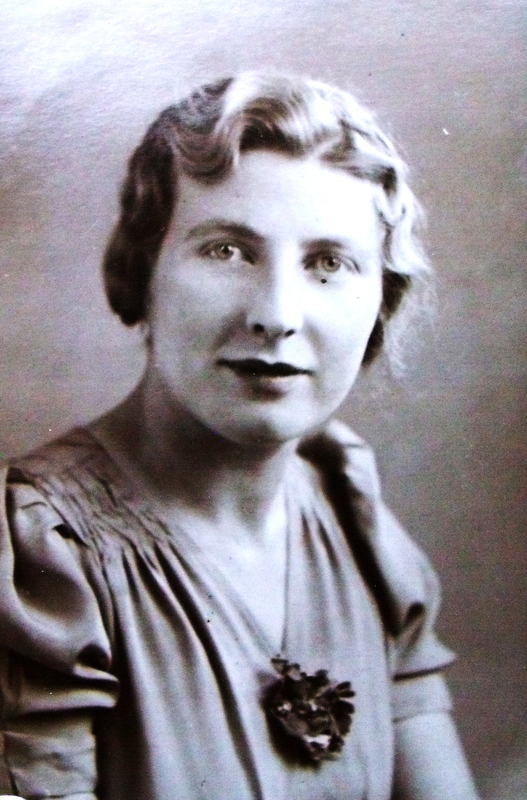 The product range my grandmother used in her London salon was by American beauty pioneer Rose Laird. Rose’s story is a fascinating one and a great example of reaching for and succeeding at achieving the American dream. Rose was born c.1877 in Philadelphia to Glover Glaser, a chemist. After leaving school, she enrolled as a student nurse, specialising in diseases of the skin, at the skin clinic of Jefferson Hospital. Following her marriage to F. Raymond Laird, an inventor, the couple enjoyed both financial success and significant hardship. Rose wanted to become a dermatologist but this was at a time when female medical professionals were as rare as hen’s teeth. Realising that this was not an option, she brought a one-way ticket to New York and with only $26 in her pocket she embarked upon her dream of setting-up her own cosmetics company. Upon arrival, she lodged in a cheap hotel and searched the city for a one-room office which she eventually found at West 31st Street. Her new business premises only had hot and cold water and a wash bowl and was certainly not in a suitable state to begin trading in facials and shampoos. She managed to source a second-hand barber’s chair and worked hard to make the small room look respectable and hygienic. Rose’s first client was the wife of a physician friend of her father. Her aim was to give massages and shampoos along scientific principles that would hopefully freshen skin and bring radiance to the hair. Her first consultation was a great success and recommendations came quickly, ensuring that she raised enough funds to pay the first month’s rent on her new premises. Further clients in her early days included financier Thomas Fortune Ryan (1851-1928) and his wife who then in turn recommended Rose to their circle of friends which included the author Mark Twain (1835-1910), financier H. H. Rogers (1840-1909) and politician and composer Ignacy Paderewski (1860-1941). The business was an instant success and Rose’s client base widened to include, theatricals, opera singers and the higher echelons of New York society. Alongside her treatments, Rose sold jars of creams and bottles of lotions which she had mixed herself based upon formulas passed down by her father. Cosmetics are mere aids to beauty, which results from proper care of diet and of the circulation and skin; from scalp to toenails. There is nothing more important to man or woman than a good appearance. It creates self-confidence and self-respect, removes inferiority complexes, makes women good wives, mothers, sweethearts and socially productive human beings. Copyright, Come Step Back in Time. My late grandmother. This photograph was taken in the 1940s when Victory rolls were all the fashion in hair styling. 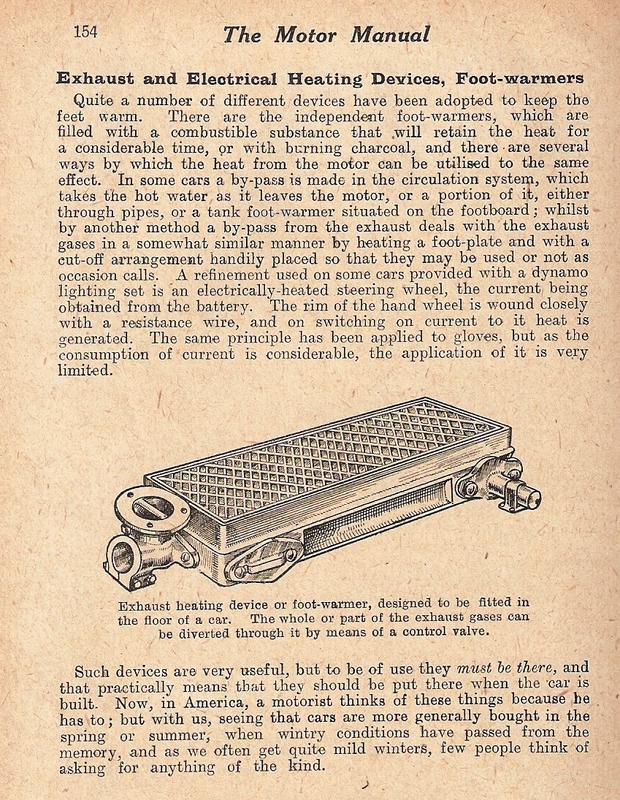 The Motor Manual, 19th Edition, 1915. Thanks must go to my mother for this article which features a gem of a book that caught her eye in the window of a local charity shop. How very glad I am that a decision was made to purchase it. 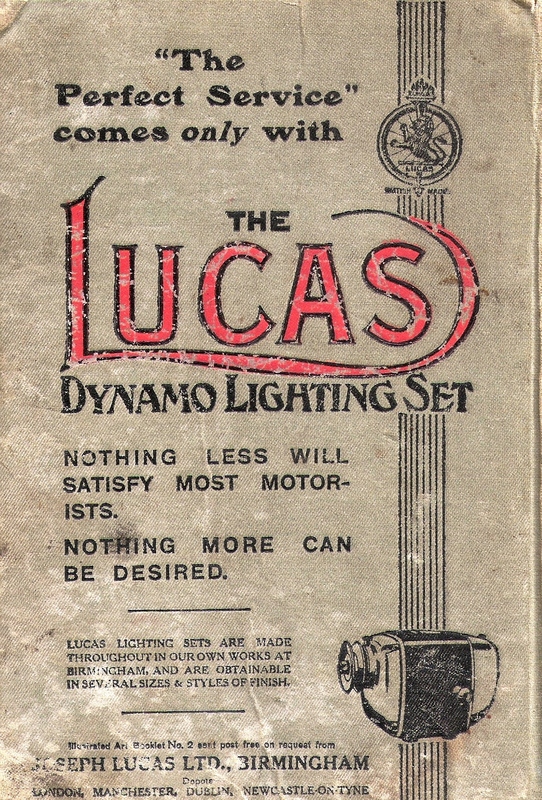 One of the reasons for my mother’s purchase, apart from the obvious usefulness to a daughter who edits a history blog, was that it contained a two-page advertisement for a ‘Swift’ motorcar. Upon handing me the book, she very excitedly told me of a long-standing family connection with this rather attractive looking chassis. Apparently, my great, great, grandmother (whose 1915 edition of Mrs Beeton’s Book of Household Management I relentlessly plunder for my blogs and whose Wedgwood blancmange mould recently featured on British television ) owned a Swift and employed a chauffeur to drive her around in it. Make and model of which my mother could not be sure of. Great, great, grandmother was a lady of significant means but readers before you go thinking I am trying to be all grand, there is a rather juicy and scandalous back story about this Grand Dame that relates to her husband, my great, great, grandfather. However, if I were to ‘spill the beans’ and share the titbits with you all, I would receive a lynching from my relatives, so sorry to tease. Let’s just say for now, ‘all that glitters is not golden’. The lady standing-up is my great, great, grandmother. The young lady seated is my great grandmother. Photograph is dated c.1911. Anyway, the story of my great, great-grandmother’s beloved Swift I can tell you. The Swift was eventually handed down to my great-grandmother who had a holiday home in Hythe, Kent and decided to leave the motorcar there for use during her visits. Only problem was, she didn’t drive so a chauffeur needed to be found. The local fishmonger came to the rescue. In exchange for driving great grandmother and her family around during the holidays he was permitted to use the car in between visits. When great grandmother died the fishmonger brought the Swift and there I am afraid the story ends. Regular readers will also remember that I wrote an article last year which featured advice given to the motorist on care and maintenance of one’s motorcar, taken from my 1915 edition of Household Management. I was particularly thrilled to discover that this The Motor Manual was from exactly the same year. Must be fate. This is the 19th edition of The Motor Manual (1915) and one of 400,000 produced that year. The book is British and published by Temple Press Ltd, London, written, compiled and illustrated by the staff of The Motor magazine. This British weekly car magazine had been founded on 28th January 1903 having previously launched as Motorcycle and Motoring in 1902. In 1988, The Motor became part of Autocar, the latter having published its first edition in 1895 and of course is still going today. Incidentally, Autocar is the magazine that famously sacked Top Gear’s James May after he put together a hidden message in the 23rd September 1992 issue (Google details, it is quite amusing). This publication goes to press at a time when our entire works are under Government control, and, in consequence, the manufacture of the Swift “15” is for the time being suspended. We desire to point out to motorists, however, that when we resume production, our 15 h.p. model will more than ever maintain past records for efficiency, durability, and economy; and motorists may take it as certain that many refinements made possible by the valuable experience we are gaining now, will be incorporated in the new models. It is important to note that a majority of car manufactories at the time had been requisitioned by the Government for war work, chiefly for the production of armaments. As the optimistic tone of the advertisement suggests, it was hoped that new engineering techniques encountered during this period of secondment would benefit car production once the war was over. With storage facilities at home the upkeep of a car is considerably lessened. As referred to in another section of this book, it is quite possible to convert a coach-house and stable into a serviceable motor-house, though it would necessarily lack certain conveniences that a properly designed motor-house would possess…A good feature of many up-to-date residential houses of the small type is the inclusion of a motor-house with the premises, with water and lighting laid on. 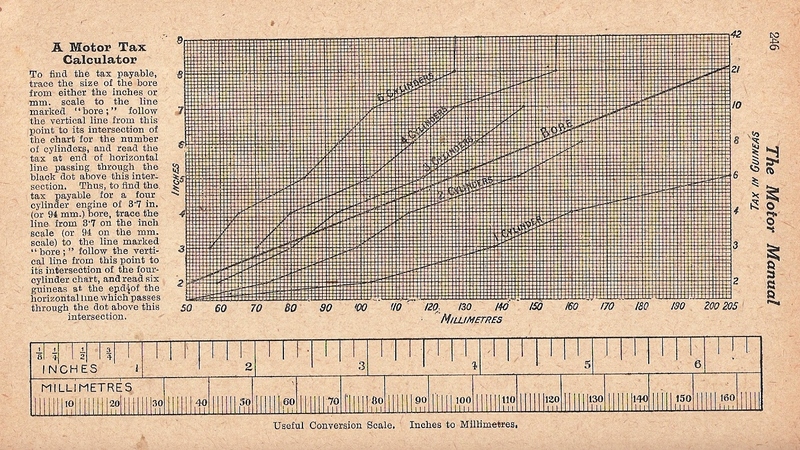 The small 8-10 h.p. two-seater cars are the most economical. With a well-adjusted carburetter the average ranges between 35 and 40 miles per gallon, according to road and weather conditions. The four-cylinder 11 h.p. to 14 h.p. cars run from 28 to 35 miles per gallon, whilst the 14-18 h.p. four-cylinder cars range from 25 to 30 miles per gallon. 1. For ten miles or lower limit of speed: A round white ring, 18 inches in diameter, with plate below giving limit in figures; 2. For prohibition: Red solid disc, eighteen inches in diameter. 3. For caution, dangerous corners, cross-roads, or precipitous places: Hollow red equilateral triangle. 4. All other notices under the Act to be on diamond-shaped boards. When turning from the left side of the road to the right hand (or wrong side) a careful driver will slow down a good deal, and before turning look round to his right to warn any oncoming traffic, especially cyclists; a driver should always signal by projecting the right arm for a moment as a warning. The use of an exhaust cut-out on public roads is prohibited by law. Every motorcar must be provided with plates showing the name of the manufacturer of the chassis and the manufacturer’s number, the horse-power of the engine or the number and bore of its cylinders, and also the weight of the car unladen. In respect to the other regulations, it is necessary only to mention that no driving certificate can be issued to a person less than 18 years of age, and that, in addition to its ordinary number plate, the car shall be provided with a distinctive plate indicating its nationality. This plate must be carried in a visible position on the back of the car, and must be of oval form, 11 7/8 inches in width and 7 1/2 inches in height. The distinctive letters for Great Britain and Ireland are G.B., and must be painted in black capital letters in Latin characters on a white ground. The letters must be at least 4 inches in height, and the breadth of each line not less than 5/8 inches. These regulations apply to touring in Belgium, France, Italy, and other countries. I am delighted to tell you about a major new British television series just started on ITV 1, Food Glorious Food. If you love heritage food then this is the programme for you. Do not be swayed by the critics who have been unnecessarily harsh on what is actually a great show put together by a world-class production team (Optomen International and Syco tv). Contrary to what you may have read, the series is NOT trying to copy BBC’s Great British Bake Off neither is the aim of the show to find the next Masterchef. On Food Glorious Food, over the coming weeks, you will see a fascinating and engaging series that brings together food and family like never before. A judging team of four passionate food experts travel the country in search of the very best home cooked recipes. Behind every treasured recipe there is an interesting back story which is often bursting with family history and nostalgia. I can reveal to you now that one of my aforementioned ‘secret media projects’ has been my involvement with Food Glorious Food. My passion for making blancmanges, in particular using my great, great grandmother’s Wedgwood mould as well as researching the history of this long-forgotten dessert, led me to being selected to take part in the show. My judge was the delightful Tom Parker Bowles and we shared a number of interesting conversations about Mrs Beeton and other luminaries from the annals of food history. I am also in the cookbook that accompanies the series (see below for details) and if you turn to page 86 you will find my recipe for vintage lavender and lemon blancmange which I hope you have as much fun recreating as I did experimenting with it. How far did I progress in the show? Well, I am not able to tell you that at the moment but if you tune-in to ITV 1 on Wednesday 20th March (South-East regional heat) you can watch me begin my Food Glorious Food journey. What I can tell you is that it was a jolly good adventure and has left me with many memories that I will treasure forever. I recently launched my new website, Viva Blancmange, which celebrates retro food as well as being a platform from which I will continue my campaign to revive the blancmange. My aim is to put this long forgotten dessert back onto the British menu within the next year. (CLICK HERE). 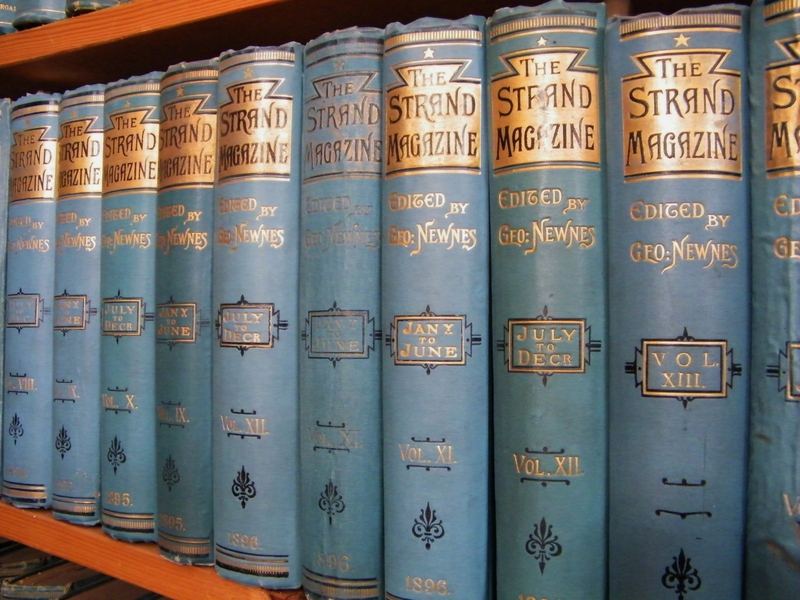 My loyal band of readers need not panic, Come Step Back in Time will continue to go from strength-to-strength (so many fabulous history articles coming-up, sadly not enough hours in the day to finishing all the writing). In the future, Come Step Back in Time will feature a lot less retro food and lifestyle articles as these will now appear on Viva Blancmange. Food Glorious Food’s presenter is Carol Vorderman and joining her on the show’s culinary quest is food historian and writer Tom Parker Bowles, globe-trotting gastronome Loyd Grossman, Women’s Institute vice-chair Anne Harrison and baker Stacie Stewart. Each judge has their own area of interest. Stacie, owner of online company the Beehive Bakery, is on the hunt for an amazing cake or pudding that the nation will fall in love with, food writer royalty, Tom is scouring the land for a great British recipe with culinary heritage, Loyd is hunting for a new favourite to match that much-loved dish, the curry, and Anne is championing traditional home cooking. At each of the six regional heats the team of experts come armed with rosettes which they hand out to dishes that meet with their high standards. Each of the first six episodes feature a different region of the UK (South-West, South-East, North-East, London and The Midlands). The judges eat their way through plenty of pies and puds, to find six amazing recipes and contestants to take through to the semi-final stages, where two will be picked to battle it out to win a place on the shelves of Marks & Spencer and a prize fund of £20,000. 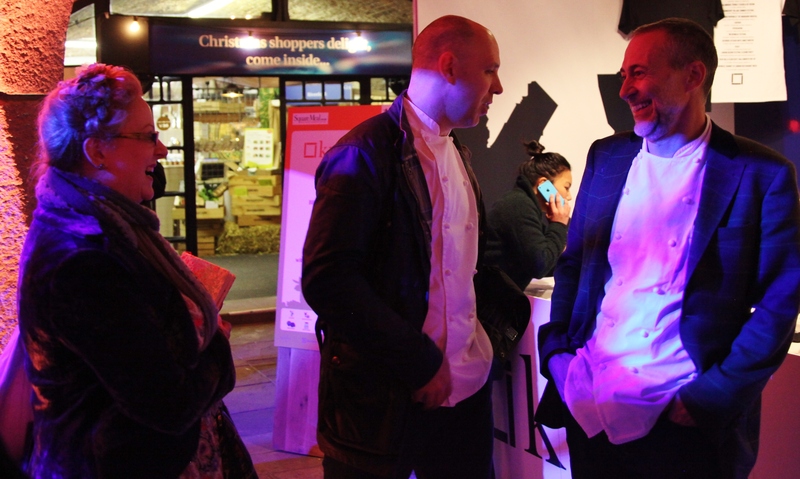 The winning dish will be decided by shoppers and sold exclusively by Marks & Spencer stores across the country with 40p from each dish sold going to Great Ormond Street Hospital. The first episode aired on Wednesday 27th February, 8pm, ITV1 and will continue for a further eight episodes, culminating in The Grand Final which, at the time of writing this article, is due to be aired on Wednesday 24th April. If you missed the first episode, then it is now available to view on itvPlayer. The series continues on Wednesday 6th March, 8pm, ITV1. Out now, to accompany the series, is a superb anthology, published by Mitchell Beazley, containing some of the best recipes featured in the programme. Divided into regions, it is full of delicious dishes for you to try as well as information about the dish’s creator. All the finalists’ dishes and the winning recipe are included. Old favourites like Bread and Butter Pudding, Cornish Pasties and Bakewell Tart feature alongside new and inventive fusions of flavours that simply have to be tasted. Some dishes will incorporate quirky twists – for example, an extra ingredient that was originally added by chance – while others will stick to time-honoured techniques handed down through multiple generations of the same family. As well as the featured recipes, there are thoughtful reflections on Britain’s food heritage and the nation’s love affair with home cooking. This is the definitive guide to the nation’s best recipes, written for the people of Great Britain, by the people of Great Britain. Happy New Year to you all, I hope that 2013 brings you good health and happiness in equal measure. I say a fond farewell to 2012 – what an incredible year it was. During the past twelve months I have experienced the usual highs and lows of everyday life as well as a number of unexpected media opportunities which may not have come my way had I not written this blog. I am hoping that 2013 will be full of adventure and new experiences. I cannot wait to share my news with you about one of these exciting media opportunities, a primetime television series that I have recently been involved in. However, I have to keep my ‘secret squirrel’ promise for a little while longer before all can be revealed and the series finally airs on British television. The start of a new year is, for many, a time of new beginnings, setting resolutions and making plans for the future. This year, one of my creative aims is to improve my knitting and crocheting skills which at present can best be described as of a basic level. I began my first knitting project in December, a plain scarf for my parents’ dog. A hit I think, but not quite as much as the packet of tasty treats and squeaky ball which were also in the dog’s Christmas stocking! Margie models her Christmas scarf. I think she was pleased with it! Last year, I purchased a selection of vintage knitting patterns from the 1940s, 50s and 60s. The pattern books contain many inspiring projects. Although, fifty or so years ago most knitters were pretty accomplished at their craft and some of the patterns do look fiendishly difficult but I like to have something to work towards. My grandmother’s 1948 Singer sewing machine. Whilst home for the holidays, I took the opportunity to have a rummage in my parents’ attic and was not disappointed by my search. Amongst the assortment of heirlooms and vintage treasures, I found a real gem – my late grandmother’s 1948 Singer sewing machine (Serial No. EE617052). Mum told me that grandmother had ordered the machine in 1945 and due to the shortage of materials following World War Two, waited three years before taking delivery of it. Mum said that it was grandmother’s pride and joy. Detail of my grandmother’s 1948 sewing machine. In 2013, I would like to bring the Singer back to life, perhaps using it to make a vintage outfit. I thought I might use it to make a copy of Christian Dior’s, 1948, New Look – similar to the outfit I wore to the first Goodwood Revival meeting in 1998. (Featured in 1950’s Britain – Part Three) However, it will have to wait for a short bit as I am currently making a 1950s evening gown for one of my ongoing media projects and anyway, I will need to get the Singer properly serviced first. I wanted to find-out more about Singer sewing machines. During the course of my research I found a really interesting website, Love to Know Antiques: Advice Women Can Trust CLICK HERE. The article on Singer machines was very helpful, particularly when it came to identifying the exact production date of grandmother’s machine. There are now a growing number of collectors and vintage enthusiasts who are using antique sewing machines for their crafting and dressmaking. Artist Sarah Harper, owner of Rowan Tree Studios, collects and uses them for teaching sewing courses at her workshop in Clovelly, Devon. CLICK HERE. The February issue of Homes & Antiques magazine (on sale in the UK, 3rd January) also includes an article on ‘Vintage Sewing Machines’, exploring why they are becoming increasingly popular and desirable to collect. CLICK HERE. So what are you waiting for, treat yourself to a secondhand sewing machine, you will be so glad you did. Many of the models can be brought for less than £100. Sarah Harper also sells and reconditions old machines so do check-out her website before you begin your search. CLICK HERE. I discovered there is a Museum dedicated to sewing machines. The London Sewing Machine Museum can be found on the first floor of Wimbledon Sewing Machine Company’s premises (292-312 Balham High Road, London, SW17 7AA – Tooting Bec tube stop using the London Underground) which is owned by Ray Rushton. The Museum has over seven hundred industrial and domestic machines, many of which are incredibly rare, including one owned by Queen Victoria’s eldest daughter, HRH Princess Frederick of Prussia (1840-1901). The machine was made in 1865 by a German company to a Wheeler & Wilson pattern, it had been given as a wedding present to the Princess. (Homes & Antiques, February, 2013, Sorrell, K., p.62). 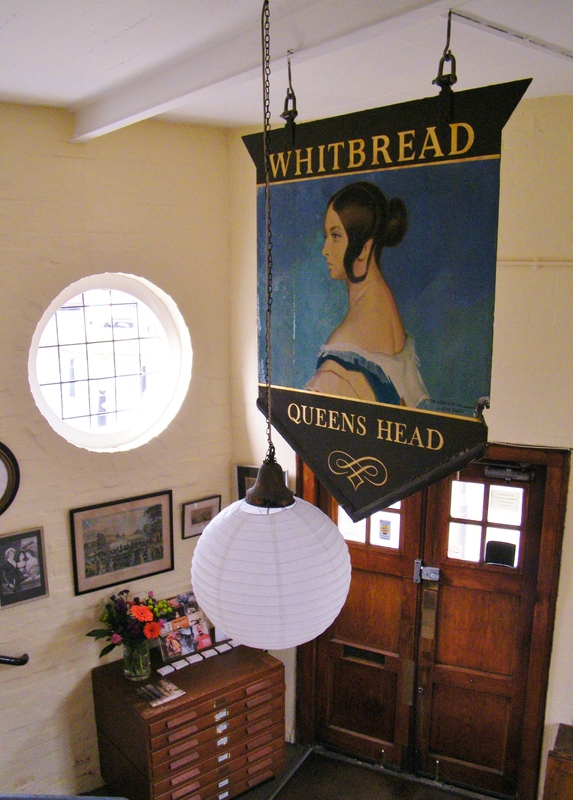 The Museum is open on the first Saturday of every month, between 2pm and 5pm. The next two openings will be on Saturday 2nd February and Saturday 2nd March. Admission to the Museum is free but donations, upon entry, towards The Royal National Lifeboat Institution and Leukaemia Research, would be much appreciated. One point I must alert you to, is that due to the fact the Museum is located on the first floor of a building, access is via approximately forty steps. Unfortunately, they do not have a lift, so access for the disabled and those with limited physical ability, is restricted. For views of the Museum’s interior, CLICK HERE. Judkin sewing machine. 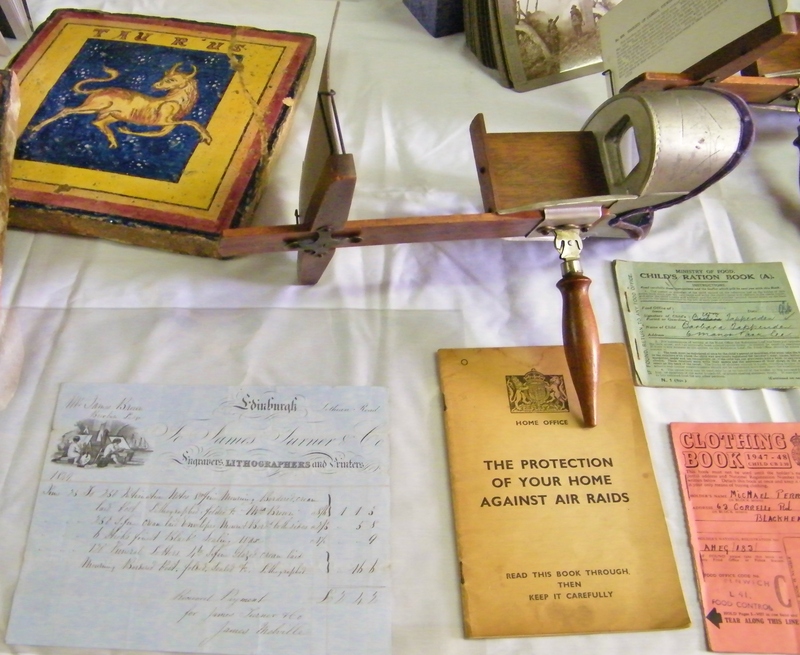 The display label reads: ‘Charles Tiot Judkins was the only British exhibitor of a sewing machine in the 1851 exhibition. 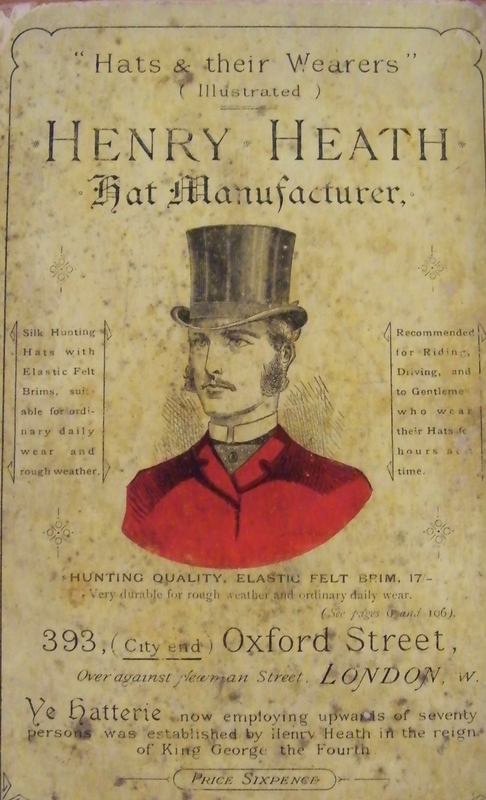 His machines, made in Manchester, were closely based on American prototypes. This particular type of single thread chainstitch machine was presented in Ameria in 1859 by Charles Raymond. Judkins registered Raymond’s patent in England in 1865 (No. 144) and this little machine is Judkin’s only essay into small domestic machines and few have survived, his other wares relate to industry. Weir and several others cloned or imported Raymond machines.’ Milestones Living History Museum, Basingstoke. Vintage sewing machine for a child. Milestones Living History Museum, Basingstoke. 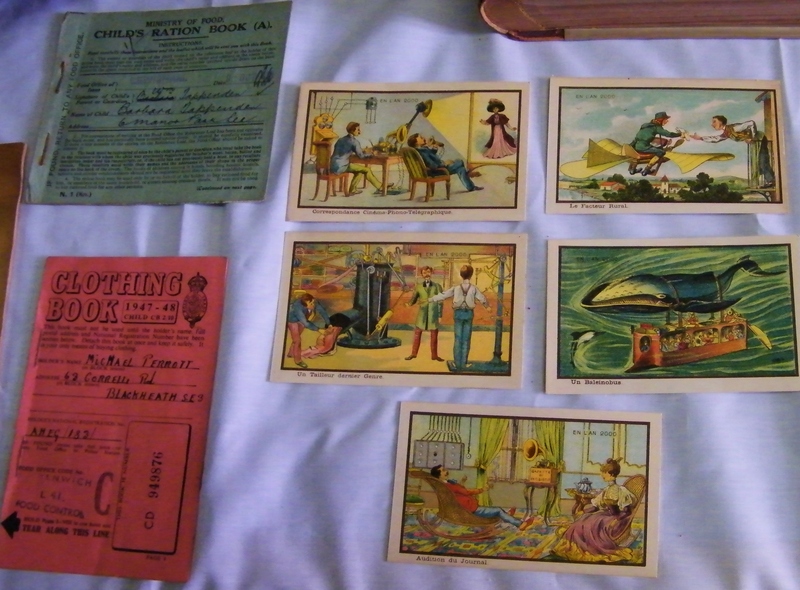 Milestones Living History Museum, Basingstoke has a wonderful collection of domestic bygones to help inspire you. 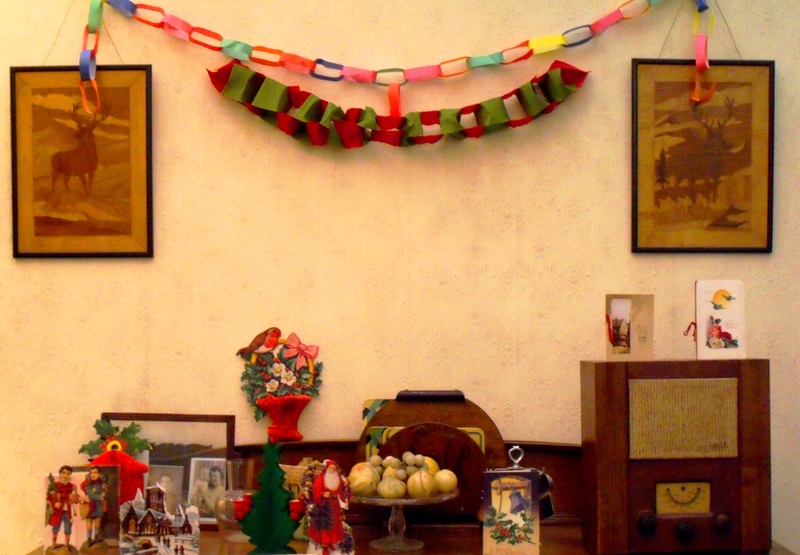 This museum is the perfect day-out for social historians and vintage enthusiasts. In my opinion, Milestones has the best collection of vintage kitchenalia on display of any museum outside London. They also have a nice selection of vintage sewing machines, including models produced for children. For more information on the museum, please see my previous article, CLICK HERE. The Comet toy sewing machine (EMG – SH.1986.122). The display label reads: ‘The first ‘toy’ machines were small machines pour fillette made in France in the 1860s. 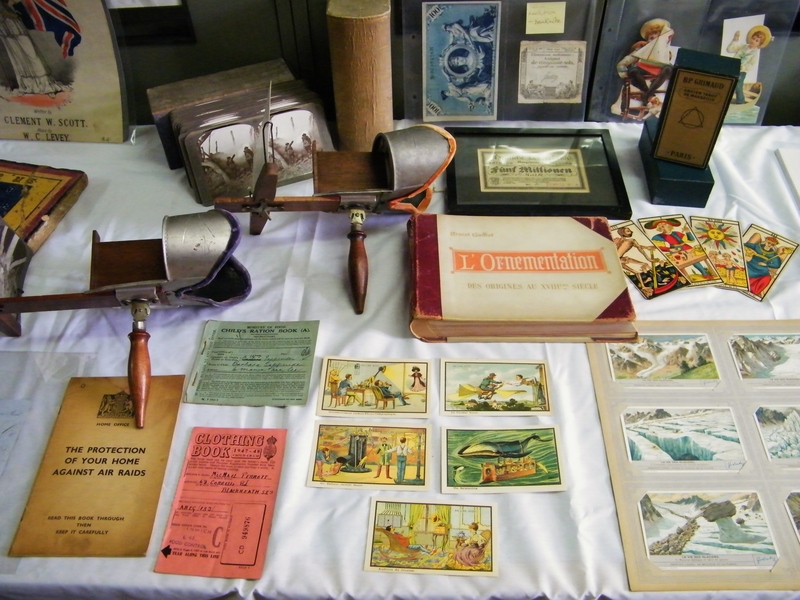 Late in the nineteenth century the German tinplate toy industry began to produce large numbers of pressed steel cheap toys. After 1945, production of these simple pressed steel toys was restarted and gradually many of the steel parts were replaced by plastic. The Comet is a British toy of the 1950s with its pressed steel mechanism clothed in a plastic body.’ Milestones Living History Museum, Basingstoke. Old Sewing Machines by Carol Head, published by Shire Library (84) (2004). To help inspire your inner ‘creative god(dess)’ I have compiled a selection of craft projects for you to have a go at. 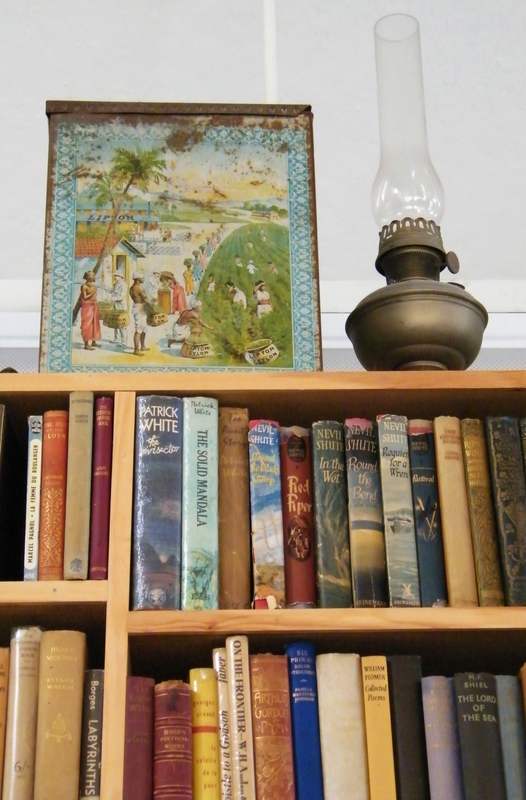 All chosen from my own collection of vintage magazines and books. 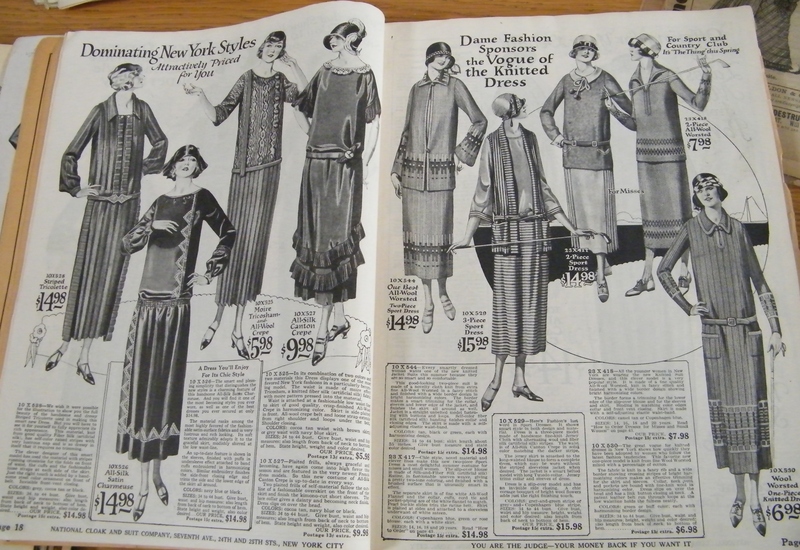 Some vintage patterns and sewing instructions tend to be quite tricky, presuming prior ability and knowledge of the craft in question. However, I have selected ones that are fairly straightforward to follow. If crafting isn’t your thing, then why not have a go at one of the vintage recipes instead. THERE IS A PRIZE TOO…. If you do make/bake any of the items featured below I would love to see the end result, so too will other readers of Come Step Back in Time. Please e-mail me a photograph (JPEG format), your name and a short paragraph about your experiences making/baking it – which may be good, bad or humourous. I will select the best examples to showcase in an article, here on Come Step Back in Time, in Spring 2013. My e-mail address can be found on the ‘About Me and Media Contact’ page. Deadline for receipt of e-mail and image, is midnight (GMT) on Friday 1st March 2013 – so you do have plenty of time to complete your chosen project. I cannot wait to see how you all get on. From the examples showcased in the article I will select one winner to be the ‘best in show’. 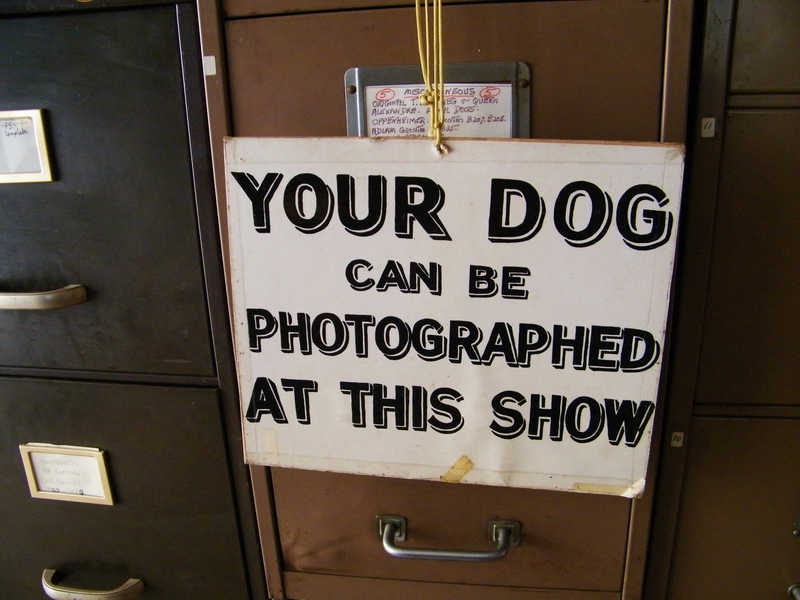 The ‘best in show’ winner will receive one of my vintage, secondhand books. I will send it to you wherever you are in the world – postage paid by myself! I have a large collection of incredible books so it will be something special, I promise. So, what are you waiting for, get creative……. The best-known simple kite is the peg-top pattern. It is of fairly small size and covered with tissue paper gummed to the frame; such a kite, a foot long, can be flown on stout thread as a line. The frame consists of a relatively stiff wooden backbone, and a thin, flexible piece of split cane bent to a semicircle by a string arranged like a bowstring. The centre of the bow is lashed to the top of the backbone, and strings are run from the horns of the bow to the bottom of the back-bone; these strings, however, are not too tight, as the strain is to be taken on the bowstring. After the frame is covered, a piece of string double the length of the kite has its two ends tied to the backbone, one near each end. This is the bridle, and the kite line is tied to it so that the upper arm of the bridle is shorter than the lower. The rig of the kite is completed by a tail, to which convention consigns the form of a string two or three times the length of the kite, tied to the bottom of the backbone and having screws of paper tied to it at intervals; a strip of fabric, however, answers the purpose equally well, being more durable and less trouble to fix. Home-made peg-top kites sometimes have a rigid wooden member instead of the bowstring. This is a mistake, as it tends to prevent the horns of the bow from bending backwards under the air pressure, as they must do to give the dihedral angle effect needful for stability. 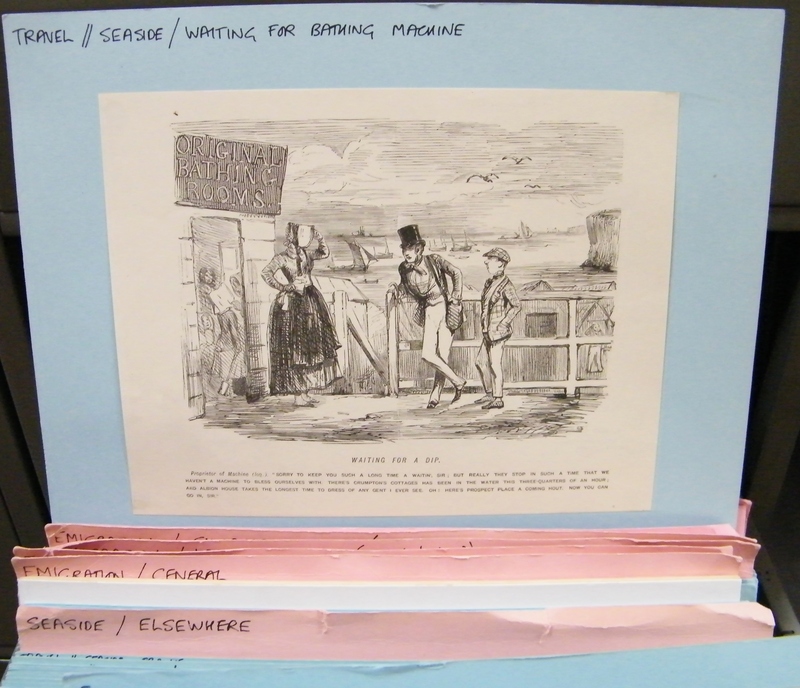 The adjustments that have to be made consist in varying the amount of tail to be carried and the point of the bridle at which the line is tied on; the kite will not fly unless these adjustments are made suitable to the speed at which the wind is travelling. The peg-top pattern is inconvenient in large sizes, as it cannot well be taken to pieces for travelling. A modified form of it is therefore used in which the bowstring is replaced by a straight and particularly flexible stick and the bow omitted, the frame thus consisting of two wooden members arranged in the form of a cross, with a surrounding edge of string tied in succession to the four ends of the sticks. If this frame is covered with a light cotton fabric it can easily be arranged so that the sticks may be removed and the whole rolled up for transport. The same adjustments as in the case of the peg-top kit are needed in order to secure for it a satisfactory stability. The main part of the body and the head are cut in one, but the under part and the ears are added separately. A quarter of a yard of cloth, 48 inches wide, is needed, together with a little pink silk material for lining the ears. When cutting out, use the cloth folded with the selvedges together, and arrange the pattern, cut to the shape shown, in the positions seen. It is necessary first to join the long straight seam of the base or under part; then take it, still folded, so that the seam runs along the top, but with the wrong side inside, and slip it between the two layers of the main body. The latter should be so put together that the right sides face. Stitch the edges of each layer of the base to the edges of each layer of the main part, matching edges neatly, and also drawing the curved back part of the base down to the lower edge of the main part. Next stitch the two main parts of the body together above the inserted base portions, commencing at the front just below the head, and working around this along the top of the body to the back of the inserted base. Leave a small opening in the part of this seam, however, so that the stuffing may be put in. Turn the shape inside out, stuff it tightly with kapok; and sew up opening. Line each ear with silk; then make a pleat in the straight edge and sew it to the head. Insert two eyes. [Plastic animal eyes are easily brought from a craft shop or on-line store. These modern eyes will need to be inserted before you commence stuffing the toy. If you intend making the toy to give to a child/baby then not all man-made or natural stuffing is safe. I found an interesting article on the website ‘FunkyFriendsFactory‘, about toy-making which you may find helpful when choosing materials for your rabbit. CLICK HERE.]. Cast on eighty stitches for lady’s and ninety for gentleman’s socks. Knit four plain rows, increasing one at each end of the rows. Then knit ten or twelve rows (knit two, purl two) to form the width of the foot. Begin the intakes by knitting two together twice in the centre of every row. Do this for about eighteen or twenty rows, afterwards knit without decreasing, ten more rows, cast off, and sew up. The original mat measures 20 by 26 inches. It is knitted from end to end in an easy loop stitch, and can be made very quickly by even the most amateur worker. 12 ozs of thick knitting cotton are used here, but you may find the quantity you use may be slightly different, as these knitting cottons vary very much. So we give you here the stitch you use first of all; just try a bit to make sure. Tighten loops as you knit. Cast on 8 stitches on the largest needles you have, about size 5 will do; use the yarn double. 1st row: Work loops thus: – k. 2 border sts., * put needle into next st. without knitting it, put forefinger of left hand under point of right needle and wrap yarn over right needle point and round finger in opposite way to knitting, then round needle again, draw through stitch on left needle, put these on left needle, then knit all sts. again as 1 st.; repeat from * to last 2 sts., k. 2. 2nd row: k. 2, purl to last 2 sts., k. 2. These two rows form the pattern. Repeat them in a few times to make a piece about 2 inches. Now measure the tension of your work over the back, and work out how many sts. you will need to cast on to get a width of 20 inches. For example, if you have 3 sts. to an inch you will need 60 sts. The mat you see here had just under 2 sts. to an inch, so 45 sts. were cast on. When you have done 9 inches in pattern, work 5 sts. in centre of the work in plain stocking-stitch, keeping remainder in pattern as before, for 8 inches, then finish off with another 9 inches of pattern. Cast off. With a length of contrasting wool, embroider ‘bath’ across the plain centre piece, then work all round the edge in buttonhole-stitch. Tubular knitting on only 2 needles. The secret is how you can knit on one pair of needles a double fabric often used for scarves which has the appearance of a tube of stocking stitch seamed together at both ends. This fabric is easy to knit, and simply consists of one row. Cast on double the number of stitches required for the finished width, e.g. if you are working at a tension of 8 sts. to the inch in stocking stitch (3-ply on a size 11 needle), you would need 80 sts. for a 10-inch width in ordinary stocking stitch, therefore would cast on 160 sts. for tubular knitting. 1st and every row – * K. 1, bring wool to front, slip 1 purlwise, take wool to back; repeat from * all across row. For a light-weight scarf in 2-ply, use No. 9 needles. Cast on 160 sts. Work in tubular knitting for 46 inches. Cast off, knitting, 2 together, all across row. Fringe ends. The ideal needle for 3-play is a size 8; 4-play a size 7, and double knitting a size 5. Here is an idea for a dark woollen dress that is worn in front and is too tight for you. Open it from neck to hem and finish the edges neatly, turning hem in and rounding them up to the neck, unless you like to turn down the points at the neck as revers. Then use the best part of the silk from an old printed dress or any other material you may have in a contrasting colour, and gather it in a panel down the front, fastening it under the edges of the dark material to give the effect of a Redingote worn over a dress. This is very suitable for maternity wear. You could use the bodice of the figured silk frock to make a blouse. It will probably be worn under the arms, or you wouldn’t be cutting it up, but there should be ample material left over in the skirt after making the panel for the coat-frock to put in new short sleeves and a yoke to the blouse. Tipped to be THE sweet of 2013, be on trend! Ingredients: 10 ozs granulated sugar; 1/4 pint water; 3/4 oz powdered gelatine; 1 dessertspoonful glucose and 1/4 pint water and orange flower water mixed (4 dessertspoonfuls orange flower water is sufficient). Method: Put the gelatine in the water and orange flower water, then dissolve it in a fairly large pan over gentle heat, and set it aside. In another pan put the sugar, water, and glucose, dissolve in usual way, and boil to 260 degrees. Rewarm the pan containing gelatine and pour the boiled sugar into it, beating briskly with an egg whisk; after a minute or two add the stiffly beaten white of an egg, then whip the batch till it gets white and stiff (takes about 15 minutes), leave it in pan for half an hour, then run a thin knife round the sides of pan, and turn it out on to dry sifted icing sugar. Leave it for an hour or for some hours, then rub it over with icing sugar, then with large scissors cut it into squares, and rub each square with icing sugar. Leave these exposed to the air in a warm room for two or three days, then keep in a tin lined with kitchen paper. Any kind of nuts, if ground, can be added to the batch while beating it. Various flavours can be used, such as vanilla, rose, chocolate, strawberry, or coffee. Have [melted chocolate] covering at same temperature as for dipping. Pour some into the mould, and run it all round the mould to line it well, then empty out the surplus chocolate. When almost setting, with a knife push some of the chocolate up round the edge – to form a wider rim. Then when the chocolate is quite firm and set take a very sharp knife and pare the edge of the mould quite clear, then give lightly a little jerk or squeeze to the mould each way, then turn it upside down and tap the edge on the marble, and the chocolate egg will drop out. Fill inside of egg with toy, sweets, motto, etc. Damp round edges of shell with warm chocolate, insert a loop of ribbon or cord to hang egg by, and press the moulds together and let set. Ingredients: 1 dessertspoonful of glucose; 1 and 1/4lb granulated sugar; 1/2 oz fresh butter; Saffron [yellow] colouring; 1/2 pint good cream; small 1/2 pint cold water; vanilla flavour. Method: Dissolve the sugar in the water in usual way, add the glucose and butter, and the cream poured in slowly, and carefully stirred all the time, until the thermometer registers 236 degrees. Pour into a basin which has been rinsed out with cold water, and when half cold, add colour and flavour and stir with a wooden spoon until it creams. Cover it with wax paper and a towel and leave for twenty minutes, then work it soft and mellow, and make into centres, and when these are cold and firm cover them either with chocolate, or make them into suffed fondants. I was recently asked to create a blancmange banquet. Here are some of the results. Another hot trend for 2013 – Jelly has had its revival, now it is all about blancmange. Ingredients: 1 pint milk; zest of two oranges; pinch of salt; 1 oz sugar; 1 oz cornflour; 1/2 oz custard powder. Method: Pour about three-quarters of the milk into a saucepan, add the orange zest, salt and sugar and bring to the boil slowly. Mix the cornflour and custard powder to a smooth paste with the remaining cold milk. Pour the boiling milk on to the mixed cornflour, stirring well. Return to the saucepan over a low flame, and boil, stirring continuously for a few minutes – until it thickens. Pour into a lightly oiled mould. When set, turn out on to a table dish and serve when ready. My strawberry blancmange with a vintage twist. My crème de menthe blancmange. Ingredients: 1/4 oz cornflour; 1 orange – juiced and zested; 2 ozs loaf sugar; juice of half a lemon; 1/2 pint water. Method: Rub the sugar on the orange to absorb the zest. Put sugar and zest into a saucepan with the water. Bring to the boil slowly and boil for three minutes. Strain through muslin, return to the saucepan, and add the lemon and orange juice. Blend the cornflour with a little cold water, and add it to the liquid when boiling. Boil for three minutes. When cold, pour round the blancmange. My crème de menthe blancmange gilded with antique gold (edible) cake decoration. How to turn-out a blancmange from its mould. Ingredients: 3lb Marrow; salt; 12 peppercorns; 1/4 oz bruised ginger; cinnamon and allspice; 1/2 lb shallots; 1/2 lb green apples; 1/2 lb sultanas; 1 1/2 pints vinegar; 8 0zs sugar. Method: Cut up the marrow and put it into a basin. Sprinkle two teaspoonfuls of salt over it and leave for twelve hours. Drain well and rinse. Tie the peppercorns, ginger, cinnamon and allspice in a muslin bag. Peel the shallots and apples and chop them finely. Place all the ingredients except sugar in a saucepan and bring them slowly to the boil. Allow to simmer gently until almost cooked, add the sugar and boil until a syrupy consistency. Remove the bag of spices. Pour the mixture into a [sterilised] jar and cover. Put 4lb of redcurrants into a pan without any water and stir them over a gentle flame until the juice comes out. Strain through a muslin without pressing the fruit so that the juice is clear. There should be about 2lb of juice. For this amount stone 4lb of cherries, and make a syrup with 6 lb of sugar and 3 glasses of water; put the cherries into the syrup and let it boil gently until the syrup sets, when put on to a cold plate. Now add the redcurrant juice, let the whole mixture boil again, and the jam is ready to put into [sterilised] pots. These jams made of mixed fruits are very much liked in France, and are often served, with fresh cream, as a dessert. Mary Berry preparing her pineapple ice-cream in 1972. Ingredients: 1 medium-size fresh pineapple; juice of 1 and 1/2 lemons; 1/4 pint water; 6 0zs castor sugar; 1/2 pint double cream, lightly whipped. Method: Cut the pineapple in half lengthways, and cut out the hard-core down the centre of each side. Keep the pineapple shells. With a grapefruit knife or a sharply pointed spoon, scoop out all flesh and chop finely, saving the juice. Mix the chopped pineapple, juice, and lemon juice together. Dissolve the sugar with the water in a pan over low heat, then cool. Add the sugar syrup to the pineapple and pour into a rigid container. To Freeze: cover and freeze until almost set then turn mixture into a bowl and whisk until broken up and light. Fold in the cream and return to container. Cover, label and freeze until required. To Thaw: thaw at room temperature for 15 minutes. To Serve: scoop out ice-cream with a metal spoon that has been dipped in boiling water. Serve in pineapple shells. Note: a blender speeds up this recipe. Put the pineapple flesh, any juice and lemon juice in a blender, switch on for 2 minutes, then add cooled sugar syrup. (Serves 6). Ingredients: 1/2 lb flour; 2 ozs castor sugar; 1 oz blanched almonds; 1 egg (well beaten); 1/2 teaspoon baking soda; 1/2 teaspoon ground cloves; 3 ozs melted butter; 2 tablespoons golden syrup; 2 ozs crystallized ginger; pinch of salt; 1/2 teaspoon mixed spice; 1/4 teaspoon ground ginger; milk. Method: Grease a shallow baking tin. Sift flour into a basin with spice, salt and soda. Stir in other dry ingredients and ginger finely minced. Add syrup, egg, butter and enough milk to make a running batter. Beat till smooth. Pour into tin, dredged with flour. Decorate with split blanched almonds. Bake in a slow oven for 40 to 45 minutes. Ingredients: 12 lbs of fruit, consisting of peeled apples, pears, plums, and blackberries, in equal proportion; 6 lbs of raw sugar; one quart of water. Method: Bake three hours in a slack or slow oven; First, prepare the fruit, and put it in mixed layers of plums, pears, berries, apples, alternating each other, in stone jars. Next, put the 6 lbs of sugar in a clean saucepan, with the quart of water, and stir it with a spoon on the fire till it comes to a gentle boil; remove the dirty scum from the surface of the sugar; and, after allowing it to boil for ten minutes, pour it in equal proportions into the jar or jars containing the fruits, and place them in a moderate heat to bake slowly for three hours at least. When boiling the sugar for this purpose, remember that it is most prudent to use a saucepan capable of containing double the quantity, as sugar is very liable to boil over and waste. When the fruit is nearly dissolved, the raisinet will be done; it must then be removed to a cool place until it has become thoroughly cold and partially set firm; the jars should then be tied down with thick paper and kept in the cellar for winter use, either for making puddings or tarts, or for spreading on bread for the children. Ingredients: 1 quart of white stock, 1 white-heart lettuce, 1 thick slice of cucumber (the length of which must equal the breadth, so that a square block may be cut), a little tarragon and chervil (these may be omitted when not procurable), 1 oz of butter or good dripping, the yolks of 2 eggs, 1/4 of a pint of cream or milk, salt and pepper. Method: Wash and shred the lettuce finely, cut the block of cucumber lengthwise into thin slices, and the slices into match-like strips. Melt the butter or dripping, and fry the vegetables for about 5 or 6 minutes, then add the stock, salt and pepper, and boil slowly until the lettuce is tender (10 to 15 minutes). Beat the yolks of the eggs, add to them the cream or milk. Let the soup cool slightly, then pour in the yolks and cream, and stir until the soup thickens, but it must not boil or the eggs will curdle. Take 40 minutes to prepare and is sufficient for 4 persons. Ingredients: 1/2 lb of castor sugar, 6 ozs of butter, 1/2 lb of eggs (weighed in the shells), 1/2 lb of flour, 6 ozs of currants (cleaned), 2 ozs of peel – shredded; for the almond paste: 6 ozs of castor sugar, 3 ozs of ground almonds, 1 egg. Method: Beat the butter and sugar to a cream, add each egg separately, stir in as lightly as possible the candied peel, currants and flour. Work the sugar, ground almonds, and egg to a stiff paste, and roll out to the size of the cake-tin. Put half the cake mixture into a lined cake-tin, add the almond paste, and lastly a second layer of cake. Bake in a moderate oven from 1 to 1 1/4 hours. If preferred the cake mixture can be divided into three layers and the almond paste into two. Takes 2 hours to make and bake. Ingredients: 5 teacupfuls of flour, 2 teacupfuls of sugar, 1/2 a cup of butter, 1 cup of golden syrup, 1 cup of water, 2 eggs, 1/2 lb of chopped raisins, 1 teaspoonful (each) of bicarbonate of soda, cloves, cinnamon, and mace. Method: Beat the butter and sugar together; add the eggs, dissolve the soda in the water, then add the golden syrup, flour, spices and fruit, and work the mixture in the bowl. Turn it into a greased flat square tin baking-dish and bake in a moderate oven, or if preferred in small crinkled patty-pans. Takes 1 to 1 and 1/2 hours to make and bake. Ingredients: 6 ozs of finely chopped suet, 6 ozs of flour, 6 ozs of raisins (stoned), 1/4 pint of milk, 1/2 saltspoonful of salt. Method: Mix all the dry ingredients together, add the milk and stir well. Put into a well-greased basin, and boil or steam for about 3 hours. Serve with any suitable sweet sauce, or with a little sugar. Takes about 3 and 3/4 hours to make and is sufficient for 4 persons. 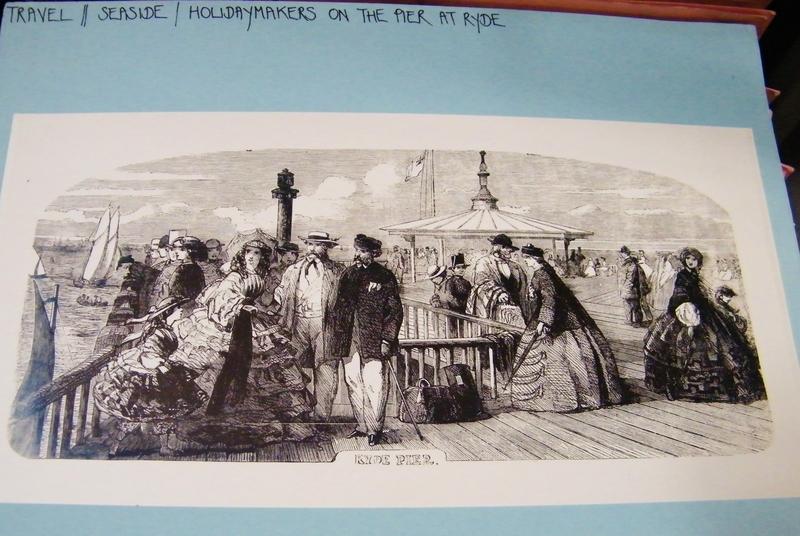 A Taste of History – St. Barbe Museum, Lymington. 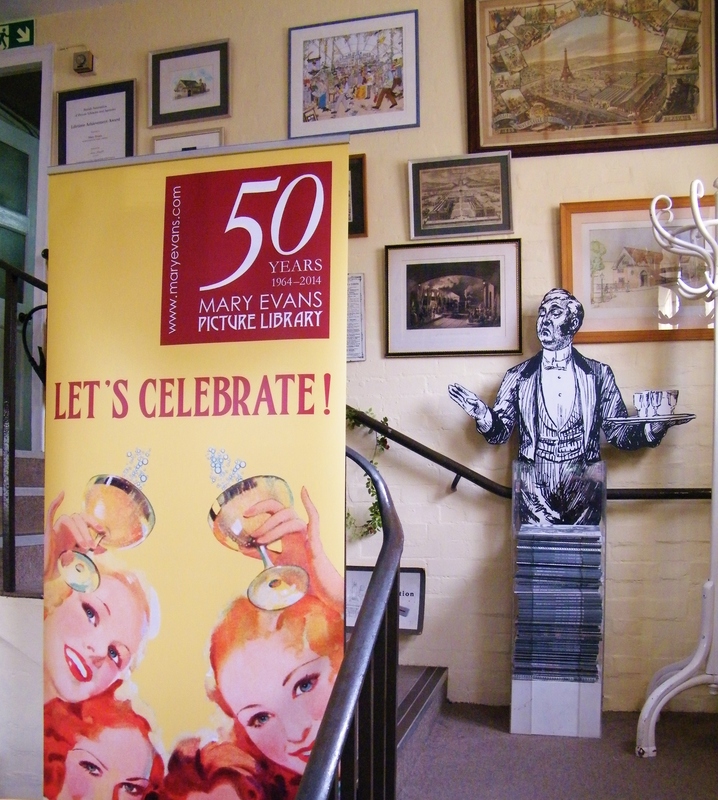 ‘A Taste of History Exhibition’, St. Barbe Museum, Lymington, Hampshire. We may think that our obsession with celebrity chefs, new ingredients, food imports and diet are a very modern phenomenon, but food developments have been at the heart of our culture since the beginning of farming in the Stone Age. St. Barbe Museum is located in the historic town of Lymington, which nestles on the edge of The New Forest National Park and hugs the Solent shoreline. The town’s unique dual location has meant that for many centuries its residents have enjoyed both a marine and carnivorous diet. In 1079, William the Conqueror (c.1028-1087) established the New Forest as a royal hunting ground and the Domesday Book (1086) even had a separate section for it. 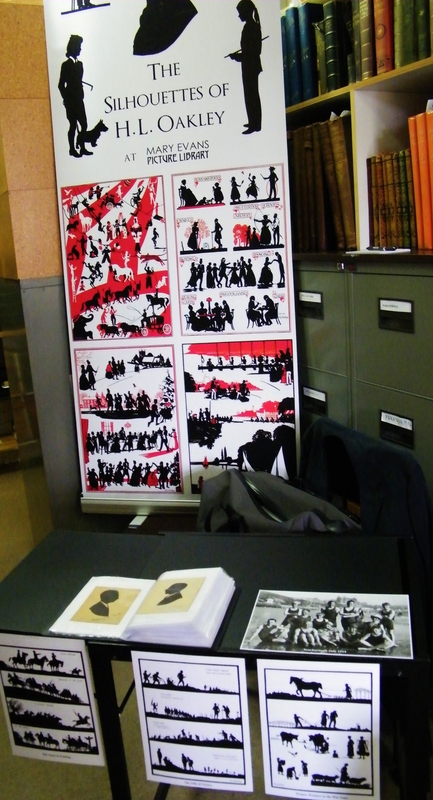 (A Taste of History exhibition, 2012). One of the former salt houses, still standing today, located on the Salterns near Lymington. The salt boiling houses were last used in 1865. Salt would have been transported to the houses by barges which also brought coal for the salt pan fires. Lymington once had a thriving salt industry. Before the refrigerator, salt was used to preserve food, particularly meat and the exhibition included a section on its uses. I was interested to discover that as soon as man stopped hunting salt became an important part of our diet. Previously, meat that had been procured by hunting would normally have been roasted thus ensuring that any salt would automatically be retained in the flesh. When meat was farmed rather than hunted, boiling became the preferred cooking method. Boiling extracts salt, rendering the meat bland, adding salt to meat improves its taste. The demand for salt began to increase. Salt was also used in the leather industry for tanning hides and in the treatment of wounds. Edwardians loved salt pork – cured hams hanging in the pantry were a common sight. A visit to Lymington by the indefatigable Celia Fiennes (1662-1741) in the 1690s provides us with a very detailed description of the salt making processes. In her account she writes of Lymington as having a few small ships but “the greatest trade is by their salterns” and she gives details of the liquor being conveyed through pipes into iron or copper pans situated in buildings [salt houses] where it was evaporated by furnaces blazing beneath to keep them boiling rapidly. She states that up to 60 quarters of salt could be made in a single pan beneath which the furnace was kept burning day and night. By the middle of the eighteenth century there were one hundred and forty-nine active salt pans. Wealthy local businessman Charles St. Barbe (1750-1826) owned fifteen salt works and forty-eight pans, after salt taxes had been paid, he made a profit of £25,000 (£2.2 million in today’s money). Salt tax was first introduced in England in 1694 and just over one hundred years later had risen to ten shillings per bushel and in 1805 was fifteen shillings per bushel. The salt industry in Lymington had declined by the mid nineteenth century and by 1865 the boiling houses on the Salterns were forced to close due to the high cost of coal and cheaper rock salt being produced around Liverpool. Topps Butchers c1900, located at No. 20 High Street, Lymington. Topps were known for their pickled tongue. There was also a slaughterhouse behind the shop. The photograph is in the St. Barbe Museum Collection – 1994.78. Drawing (1784) by Thomas Rowlandson (1756-1827) of the kitchen at the inn at Lymington on the road to Pilewell. Rowlandson visited Lymington in 1784. In the trade directory for that year, Lymington had 4 butchers, 1 fruiterer, 6 bakers, 6 grocers, 2 pastry cooks and a wine merchant. 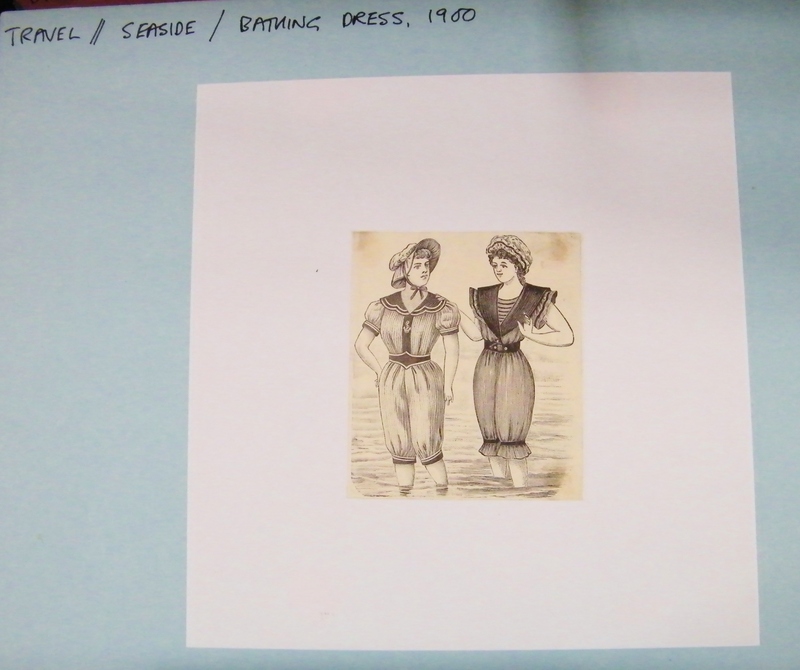 The drawing is in the St. Barbe Museum Collection – LMGLM 2012.31.8. From the Dig for Victory display in the Wartime section of the exhibition. 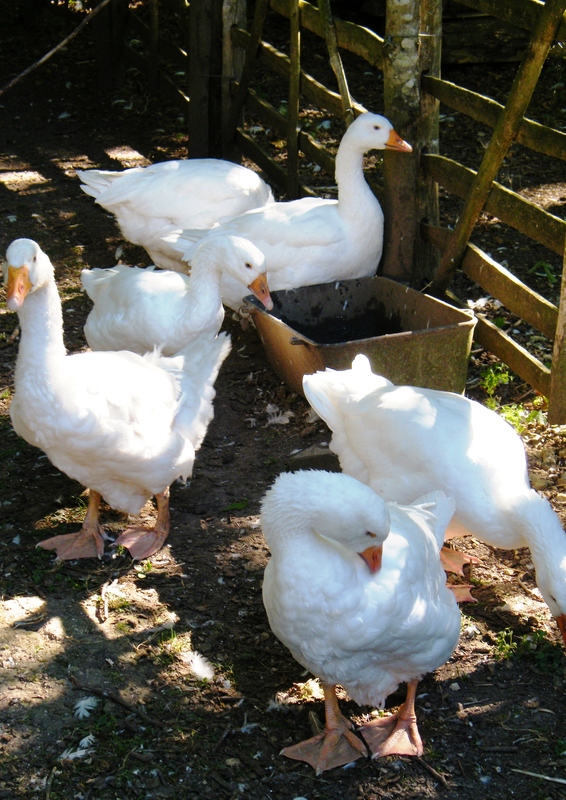 after the Second World War farming began to decline. By the end of the 1950s, tractors outnumbered horses by a ratio of two to one and approximately sixty farm workers per day were leaving agricultural employment. A reversible linen smock which is the same front and back, so it could be turned inside-out when one side became dirty. Smocks fell-out of fashion amongst agricultural workers from the 1850s onwards. This smock is in the St. Barbe Museum Collection. Throughout this year the Museum organised a large number of educational activities, in particular historical food days, eras and topics included: The Romans; jams and chutney; bread; wartime and the Tudors. If you regularly follow my blog, then you will have already read my articles on Prehistoric Cooking with Jacqui Wood and An Invitation to a Stuart Banquet. Both of this days were part of this programme of events. 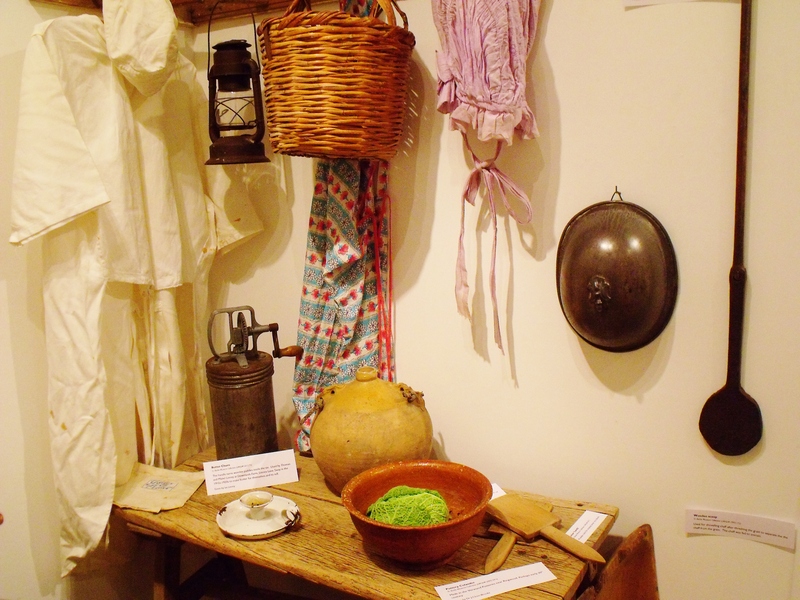 The Victorian farmhouse kitchen exhibit. I also attended their Victorian food history day. I took along my great, great grandmother’s copy of Mrs Beeton’s Book of Household Management as well as my china tea set from 1845, some Victorian table linen and a late nineteenth century copper jelly mould. Victorian kitchenalia, including my tea-set, linen, copper jelly mould and copy of Mrs Beeton’s Book of Household Management. 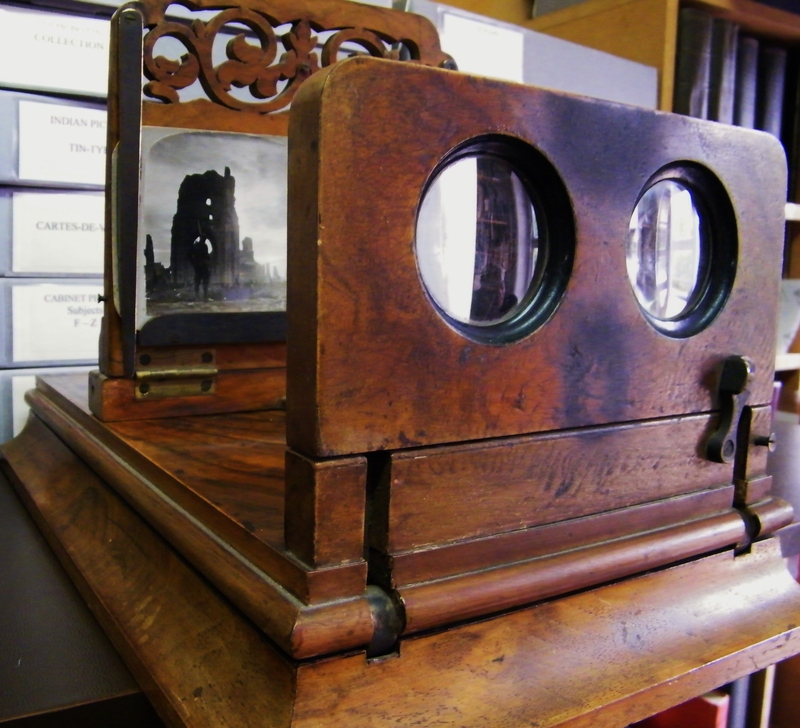 I loved this object, a ‘memory tickler’, which was part of the Victorian farmhouse display. I think that this old-fashioned style shopping list would still prove popular if it were reproduced today. I’d definitely buy it. I also note that blancmange powder was considered a store cupboard staple then, most interesting. There were plenty of activities to participate in and a local cook, who specialises in baking historical food, made some very tasty cakes based on original Victorian recipes – a fill belly cake and a pound cake (see below for recipes). Costumed museum guide at St. Barbe Museum’s Victorian day. There were costumed museum guides, lots of vintage recipe books to browse through and an opportunity to make chocolate bon bons as well as a little gift box to take them away in. The chocolate bon bons and little gift box that I made. 3/4 cups of milk; 12.5mg saffron; 1 packet of dried yeast; 60 ml lukewarm water; 450g strong white bread flour; 10mg salt; 2 eggs, lightly beaten. Scald the milk with the saffron. Let it cool. Dissolve yeast in water. Sift together 300g of flour with the salt, spoon in eggs, milk and yeast mixture and blend. Add enough flour to prevent it becoming sticky. Knead until dough is smooth and elastic, adding more flour as needed. Put in a greased bowl in a warmish place, leave to rise until it has doubled in bulk. Punch down, shape in a round loaf. Place on a greased baking sheet, leave to rise until it has again doubled in size. Bake at 170C (375F) for 25-30 mins. then cool on a rack. 150g self-raising flour; 5ml baking powder; 65g margarine; 50g sugar; 15ml golden syrup; 125ml milk or milk and water; jam for filling. Sift the flour and baking powder. Mix the margarine, sugar and golden syrup until light and soft. Add a little flour and then a little milk or milk and water and mix it in. Continue adding the flour and liquid like this until the mixture is smooth. Grease two 18cm cake tins and sprinkle them lightly with flour. Divide the mixture between them and bake at 200C, for about 20 minutes or until firm to the touch. Tip out the tins carefully and spread one cake with jam. Cover with the other cake. 2lbs stale bread; 0.5 lbs shredded suet; 1 lb granulated or brown sugar; 1lb mixed dried fruit; 3 eggs; 2 0z butter or margarine; 1 teaspoon mixed spice. Soak the bread in water then drain and squeeze-out the excess water. Flake with a fork and add the remaining ingredients. Mix well together and spread the mixture into a greased baking tin. Dot with butter and bake in a moderate oven for about 2 hours or until nicely browned. A variation is to make a pastry base, spread it with jam and then cover with the bread pudding mixture. Bake as before. 10 eggs, separated (or 1lb in weight); 1lb sugar; 1lb flour; 1lb currants and candied peel; 1 glass of brandy (optional). Cream the butter and sugar together. Mix in the egg yolks. Stir in the egg whites lightly. Add the currants and peel, then mix in the flour a little at a time and the brandy if you are using it. Bake for about 2 hours (or one hour if using half quantities). 6oz self-raising flour; 3oz margarine; 3oz sugar; 1/4pt milk; 1tbsp vinegar; 1/2 teaspoon bicarbonate of soda; 3-4oz mixed dried fruit. Sift the flour. Cream the margarine and sugar. Pour the milk into a large basin, add the vinegar and bicarbonate of soda; the mixture will rise and froth in the basin. Blend the flour and vinegar liquid into the creamed margarine and sugar then add the dried fruit. Put into a greased and flour 7″ tin, bake in a moderate oven for 1 hour. 3/4 lb flour; 1 1/2 teaspoons baking powder; 2oz lard; 2 oz butter or margarine; 60z brown sugar; 1 egg; 10z candied peel; 1/2 oz caraway seeds; a little grated nutmeg; pinch of salt; about 1/4 pt milk. Pass the flour and baking powder through a sieve, rub into it the butter and lard, and add all the dry ingredients. Beat up the egg with the milk, pour this into the cake mixture and mix thoroughly. Turn into a 6″ x 3″ tin lined with a greased paper (7 1/2″ x 3 1/2″ tin if making double quantities). Bake for 1 1/2 hours at gas mark 4 (or 2 hrs 30 at gas mark 3 for a double quantity cake). For more information about visiting St. Barbe Museum, CLICK HERE. St. Barbe’s next exhibition is ‘Randolph Schwabe: A Life in Art’ which opens on 24th November and runs until 16th February 2013. Randolph Schwabe (1885-1948) was employed as an official War Artist in both the First and Second World Wars. He is known for his portrait series ‘Women on the Land’ depicting the Women’s Land Army at work during the First World War. During the Second World War he produced drawings of bomb damage. The exhibition, curated by Dr Gill Clarke MBE, contains a number of works by Schwabe previously unseen. 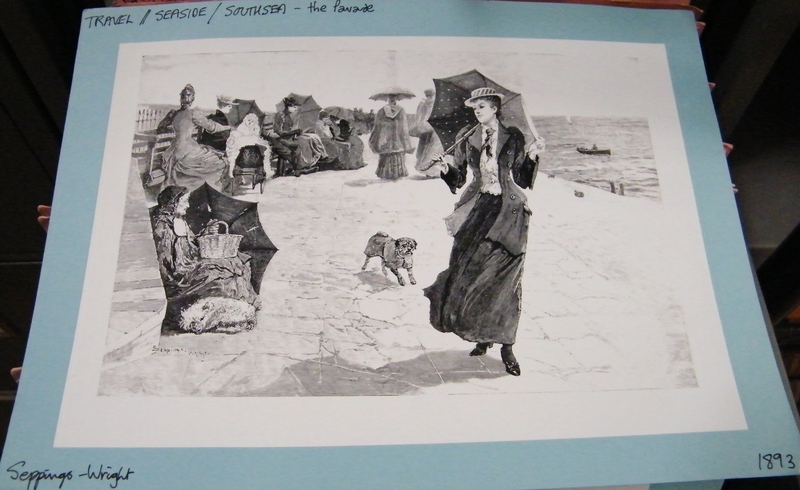 Schwabe was born in Barton Lancashire in 1885. He entered the Royal Academy of Art aged fourteen and in 1900 went to Slade School of Fine Art. 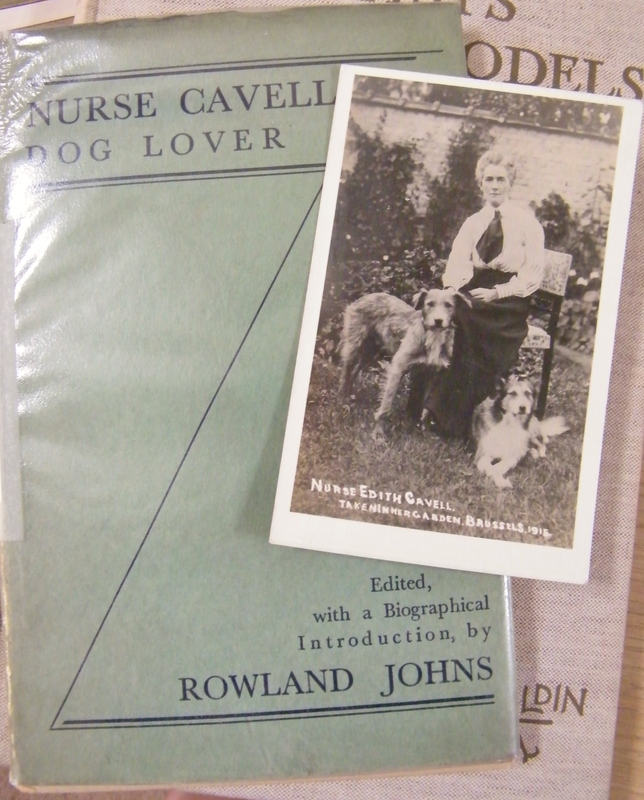 He married Gwendolen Rosamund on 19th April 1913 and they had one daughter. This was my favourite photograph from the exhibition, ladies inspecting one of the new, Creda, electric cookers in the 1920s. 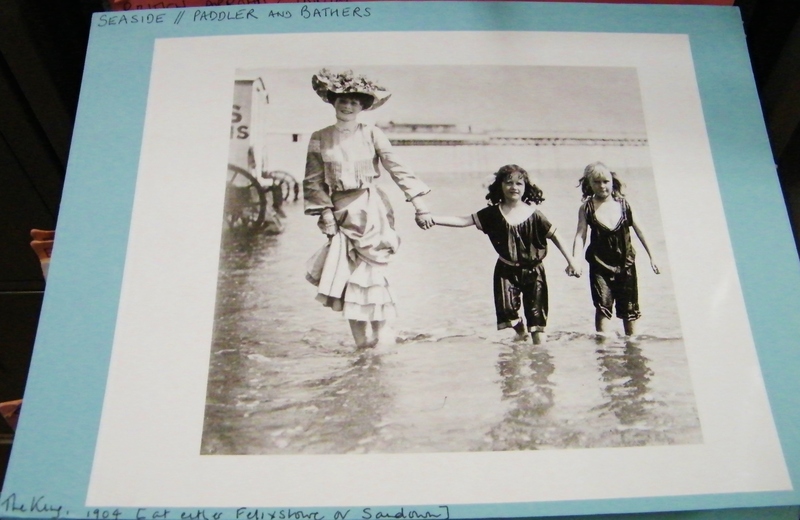 This photograph is in the St. Barbe Museum collection. Mike and Jasmine with the marchpane and leach they made for the Stuart Banquet. 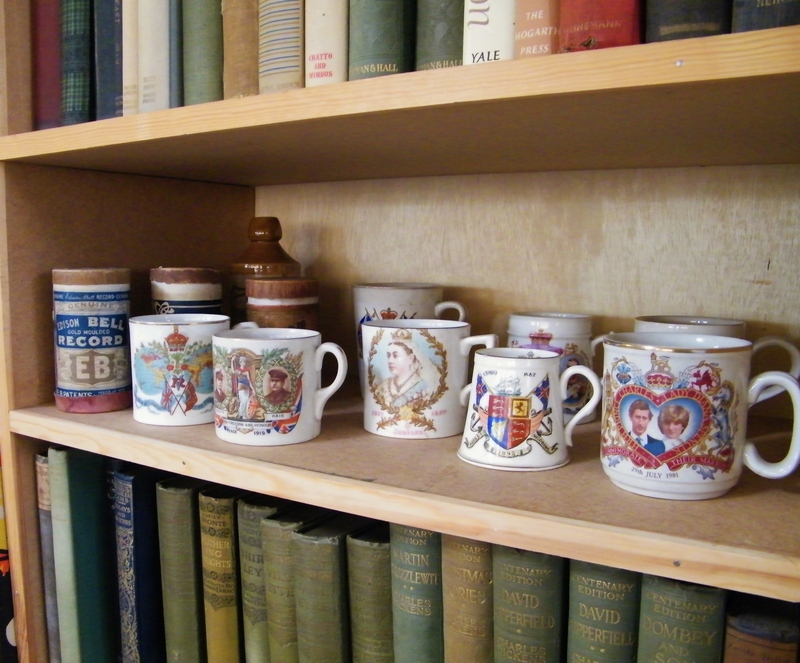 A selection of delights from the Stuart Banquet, St. Barbe Museum, Lymington. Last month I had the pleasure of attending a Stuart banquet hosted by St. Barbe Museum, Lymington. The event was part of a programme of activities organised to compliment the Museum’s new exhibition on food history, ‘A Taste of History – Local Food and Farming’ (6th October-17th November). An invitation to a Stuart Banquet at St. Barbe Museum, Lymington, Hampshire. The Cooks and Confectioner’s Dictionary by John Nott (1725) – the jumbles. Sugar-coated caraway and fennel seeds. To make the best Leache, take Isingglasse and lay it two houres in water and shift it and boile it in faire water and let it coole: Then take Almonds and lay them in cold water till they will blaunch: And then stampe them and put to new milke, and straine them and put in whole mace and ginger slic’t, and boile them till it taste well of the spice; then put in your isingglasse and Sugar, and a little rose-water: And then let them runne through a strainer. Marchpane made by Mike and Jasmine. The marchpane depicts Lymington’s Coat of Arms, a sailing vessel. Historians Mike and Jasmine were responsible for many of the stunning examples of food on display. The marchpane was a particular favourite of mine. Marchpane is similar to marzipan. In its simplest form it is made from blanched almonds that are ground finely and then mixed with refined sugar and good quality rose-water. The combination of these ingredients produces a malleable paste that can be fashioned into all manner of exotic shapes. Natural dye extracts are added for colour and spices such as a cinnamon and ginger are sometimes added. The banquet recreated at St. Barbe was typical of a spread that would have been found in a wealthy household. I was told the total amount of sugar required to produce the dishes on display amounted to approximately 5lbs. The wealthy Stuarts certainly had a sweet tooth! Mike and Jasmine also gave a butter making demonstration. A simple, if slightly labour intensive, process that I always enjoy watching. I remember being taught how to make butter as a child, I haven’t made any since then but really should try to have another go. Straining excess liquid from the freshly made butter using a muslin cloth. All liquid must be removed otherwise the butter will be go rancid very quickly. Historical interpreter Helen Horsfall gave a short talk ‘Invitation to a Stuart Banquet’, packed full of fascinating facts about food during the Stuart period. Diners do not leave the table before the top person, and leave when they do even it still hungry. Another unique experience was the re-enactment of a Court Leet. This example of a session held by the Court Leet was set c1632 using real cases as a basis for the dramatisation. Where I live, in Hampshire, the Court Leet is still active. One session is held in Stockbridge and another in the City of Southampton. Southampton’s Court Leet takes place annually on the 1st Tuesday after Michaelmas, this year that was Tuesday 2nd October. Historically, this type of Court did not have any real powers to punish, although for petty crimes, fines or community based punishments were handed-out. The Court would refer serious crimes to the Quarter Sessions or the Assizes. The Court was also responsible for overseeing the town/city’s trade regulations, particularly in relation to weights and measures. The Town Clerk would act as Steward of the Court and the Sheriff as Foreman of the Grand jury. Ray Costello presides over the Court Leet. The audience was completely enthralled by this theatrical and historical extravaganza. Giving evidence at the Court Leet. A gentlewoman (Patricia Oakley) listening to evidence being given at the Court Leet. A waggoner pleads his case. Washerwoman, Mistress Pippin (Jane Cox), pleads her case. Finally, a widow is accused by the Town Bailiff of growing illegal substances (tobacco) on her farm. She claims the tobacco is for medicinal purposes. Farmer’s widow defends her tobacco-growing activities. Well done to all involved in organising this highly successful event. St. Barbe Museum’s next food history event takes place later on today (Saturday 20th October), ‘A Taste of History: Victorian Cooking’ (10-4pm). 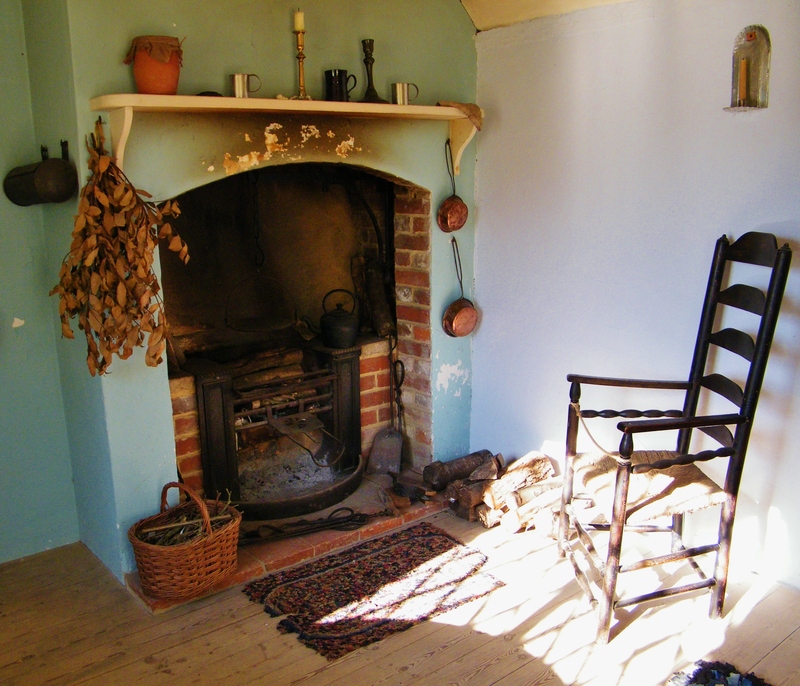 If you are a fan of Mrs Beeton and/or want to learn more about Victorian cooking, then pop down to Lymington in the New Forest. I will be there with my copy of Mrs Beeton’s Book of Household Management and a selection of lovely Victorian china. There are lots of interesting activities happening throughout the day including: costumed guides; mini-theatrical performances based on oral history testimonies; examples of food from this period prepared by a historical food interpreter; Victorian kitchenalia; Victorian recipes and of course there will be an opportunity to visit the Museum’s new exhibition all about local food history. For more information, CLICK HERE. Sandra Costello and her excellent spinning demonstration at the Stuart Banquet event, St. Barbe Museum, Lymington, Hampshire. Wool selection, all dyed by Sandra using plant/vegetable extracts.